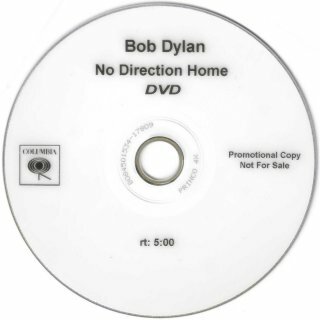 This third part of the 2000s list collects non-album song performances and interviews by Bob Dylan on DVD from 2005-2006. I would be grateful for any additional information on these items and other material to place here. Video material included on CD-ROMs or CD Plus discs is still in the main directory in the appropriate part. Unauthorised documentaries or compilations of performance footage are now included in Questionable Video. 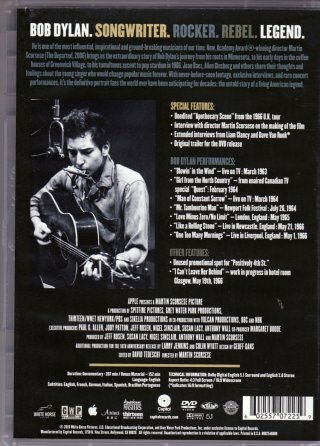 For 2005-06 films with Dylan album tracks, see VHS & DVD: Films with Dylan Album Tracks 2000s Part 2. 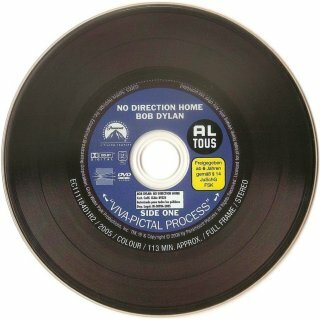 Fight the much-hated artificial and anti-consumer DVD Region system by making your PC DVD drive and software or your stand-alone DVD player region-free! For more information, see Inmatrix . 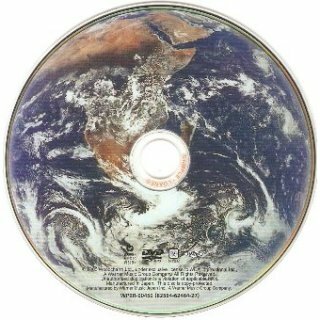 Everyone can play all CDs worldwide, and it should be the same for DVDs! 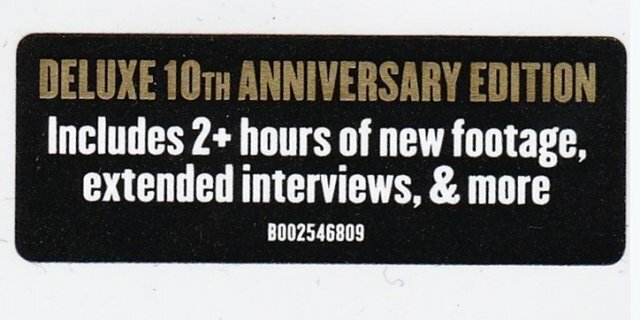 Also see DVD Codes . Some studios are fortunately realising that they can maximise sales of individual DVD releases by making them region-free instead of having to manufacture multiple region-specific copies- click on the picture on the right to see the text. The same applies to Blu-ray discs, which were region-free when introduced, but are now increasingly being released as Region A (North America), Region B (Europe), etc. This 2DVD set combines the 2003 documentary A Woman Of Heart And Mind (see VHS & DVD 2000s Part 2) with a 1998 live show previously released as Painting With Words And Music. 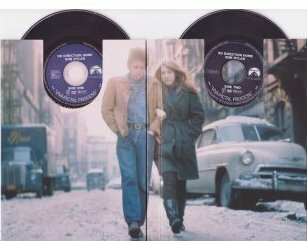 It is advertised as having a duet with Joni and Bob Dylan on Positively 4th Street, but this actually amounts to a clip of Joni singing along to Bob's record! 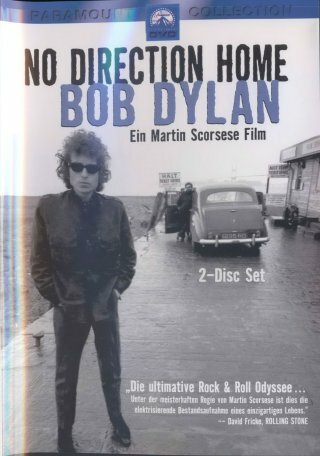 There is also some footage of Dylan at Newport and from Don't Look Back. 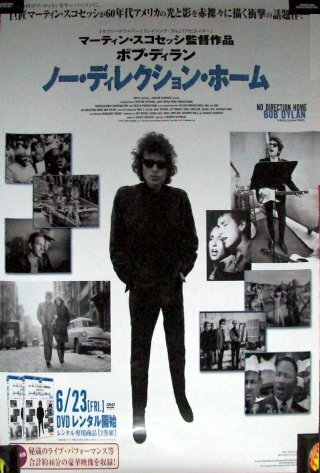 For the 1967 Don't look Back film, see VHS & DVD 1960s, The second DVD has no Dylan content. 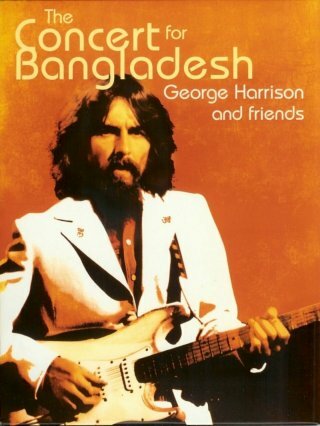 Thanks to Harold Lepidus for information about this item. Thanks to Jack Guerreiro for the scan of the front sticker (my copy didn't have one). For the USA For Africa audio album and singles, see 1985. 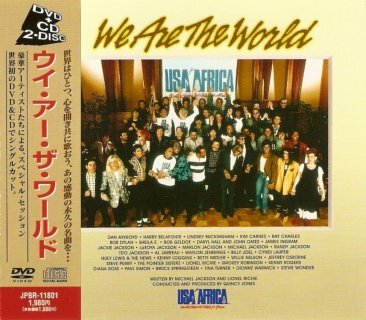 For the original 1985 VHS and laserdisc releases, see VHS & DVD 1980s. 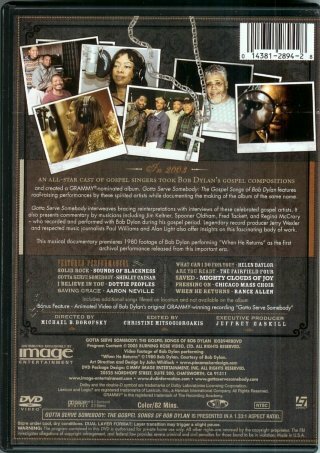 This DVD contains 206 minutes of bonus footage, including rehearsal material. There is an 8-page stapled booklet. Thanks to Freddy Ordoñez Araque, Tim Dunn, Ted Harrington for information and to Jack Guerreiro and Franck Faugere for scans. 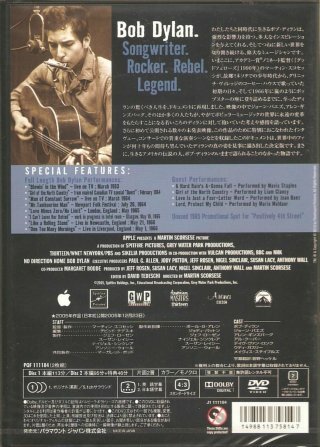 Jack's US copy has an extra yellow text box on the front with "INCLUDES NEVER-BEFORE-SEEN FOOTAGE". 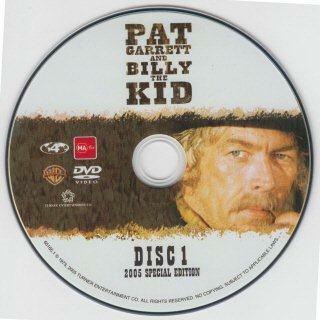 Thanks to Gerd Rundel for scans of the 2005 BMG/Image Entertainment release. 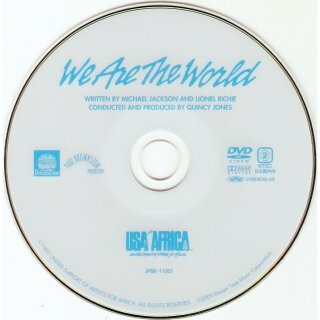 Franck's Universal European copy, bought in France in 2009 after the death of Michael Jackson, has a front sticker emphasising his involvement. 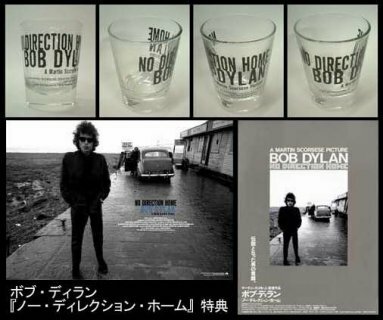 Both the American Music Awards and the Grammy Awards videos contain clips of R-0164 including Bob. I'm not giving these clips separate R-numbers. 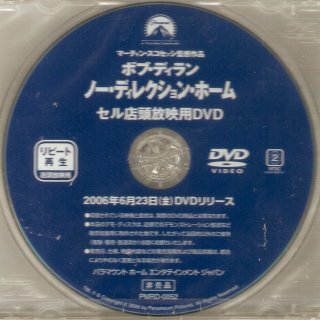 The 2005 2DVD release has an 8-page stapled booklet in English, an additional fold-out insert in English and Japanese, and a one-side insert in English and Japanese. 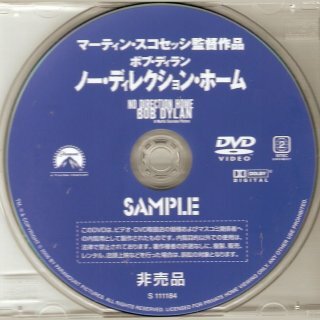 The copy shown is a promo, with a promo sticker on the rear of the DVD case insert and the English text "SAMPLE NOT FOR SALE" in the clear centre of each of the DVDs. 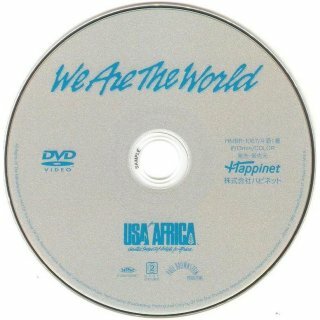 The copy shown of the 2010 2DVD Happinet release is a promo. 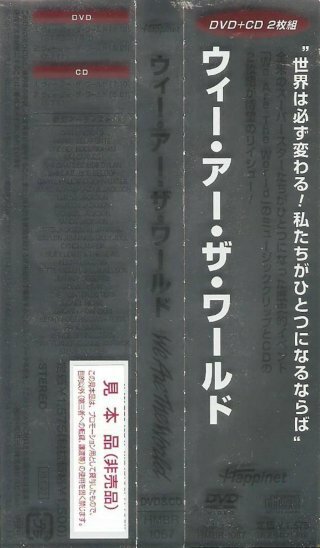 It has a wraparound silver foil obi which is impossible to scan. 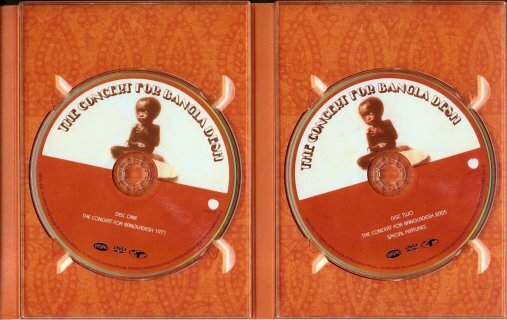 The 2009 single DVD release JBPR-11001 has no booklet but does also include the "Karaoke" version of the song as on the CD+DVD set below. This 2010 DVD+CD promo set in a two disc slimline jewel case includes both video and audio versions of R-0164 (6:22) and R-0357 (7:10, the extended version of R-0164 from 12" singles). 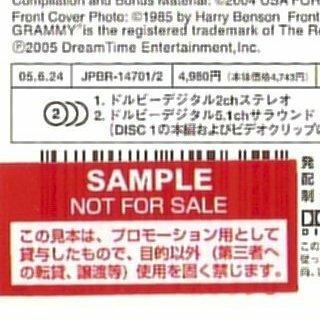 The obi has a promo sticker and the two discs both have "SAMPLE" in the clear centres. 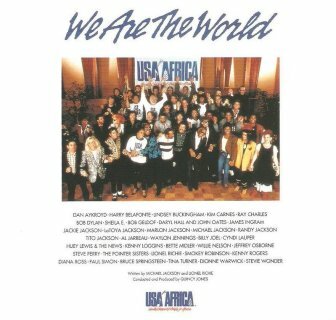 For the USA For Africa audio album and singles, see 1985. 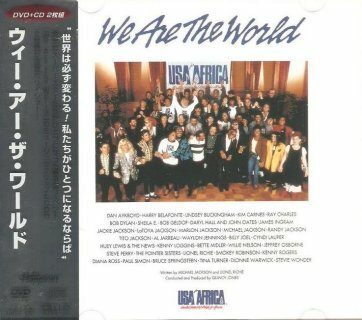 Dream Time Entertainment JPBR-11801 (Japan, 2006) - CD+DVD front with obi, scan by Wil Gielen The 2006 release is a DVD+CD 2-disc set with the video of We Are The World plus a "Karaoke" version without vocals but with sub-titles (Bob's contribution has therefore been removed from the track). 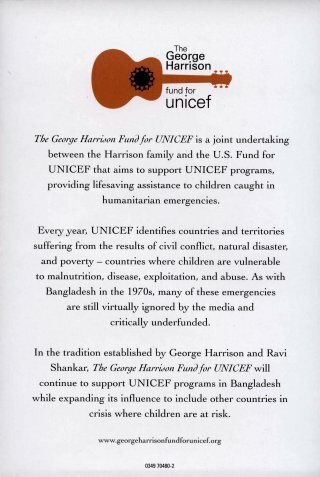 The front is a 4-page insert. The copy of the 2009 release is still sealed. 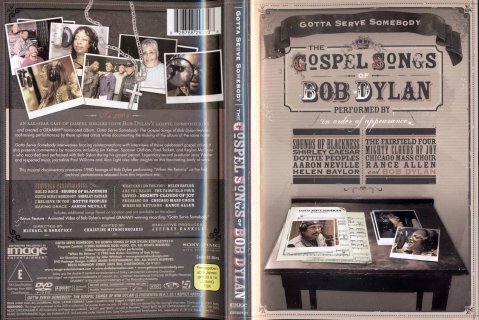 Both of these contain the studio video of the song only , not the rehearsal or live versions of the song. The 2006 price is ¥1,980 (¥1,886 before sales tax) and release date "06-9-29" (29 Jun 2006). 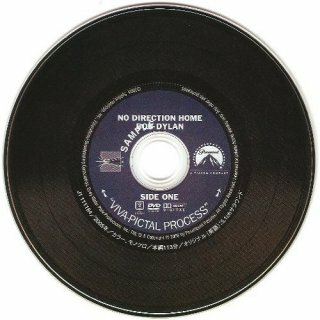 The 2009 obi price is reduced to ¥1,575 (¥1,500 before sales tax) and the release date is "09-7-17" (17 Jul 2009). 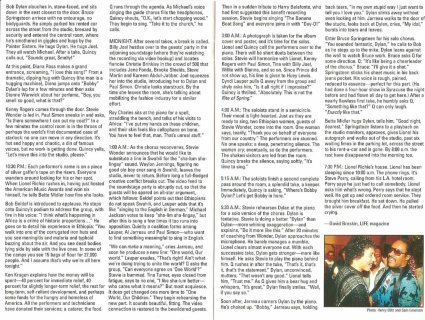 The two obis are virtually identical except for a changed comment on the obi with information about Michael Jackson, after the his death on 25 Jun 2009. 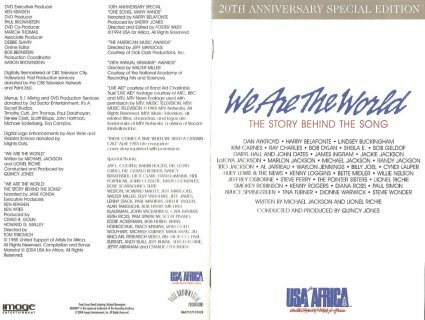 The black text down the centre of the obi is the same on each issue - it says that this was a "super session" of top artists, available for the first time as a single CD and DVD package. 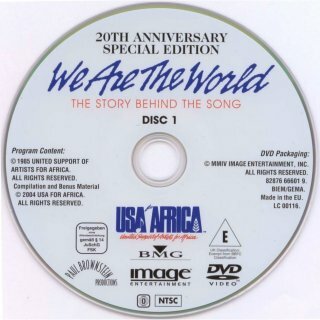 The text on the right side on the front of the obi is changed - the original 2006 text is that "the world became one and opened its heart to sing together – here is that famous, moving and timeless track". 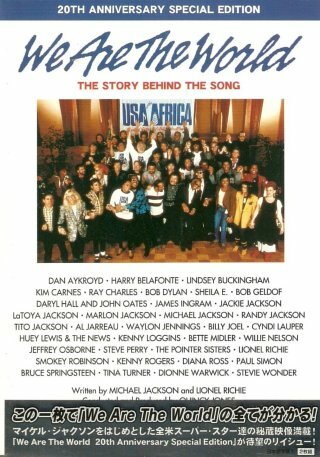 On the 2009 release the last part is changed to "and now Michael has become a star (in heaven), but once again you can find his hope here in this track". 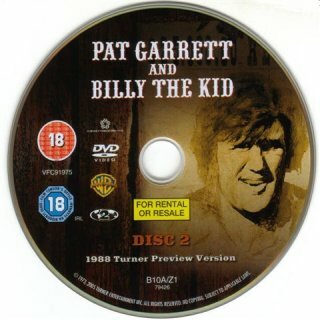 US DVD release - picture from www.amazon.com Sadly, the rarity listed below is not in this film, even though it's on the film soundtrack album! 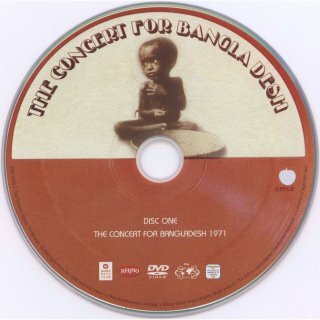 For the first appearance of this song on Unreleased Early Recordings, a privately-produced CD by the Cruzados, see 2000. 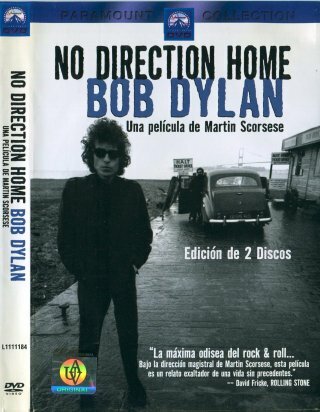 A re-recorded version of the song without Bob was released on the first Cruzados album just called Cruzados (Arista, 1985). 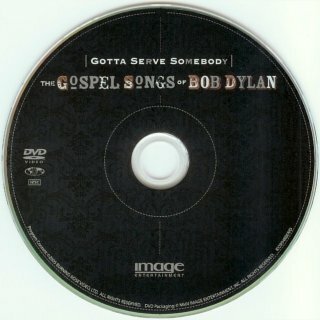 R-0452 is also included on the BMG Germany 2CD compilation May Your Song Always Be Sung: The Songs Of Bob Dylan Vol. 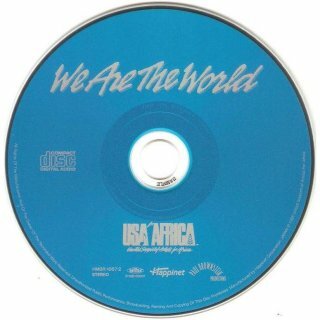 3, see 2003. 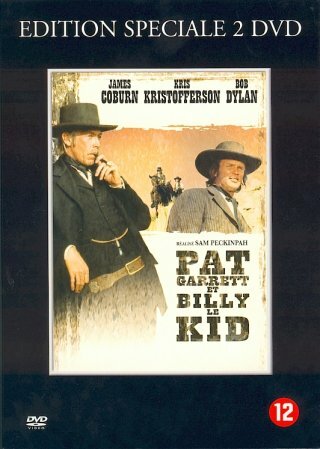 For the belated US Bird Song Records soundtrack album for this film, which does contain R-0452, see 2007. Thanks to Jean-Pol Hiernaux and Jack Guerreiro for information. 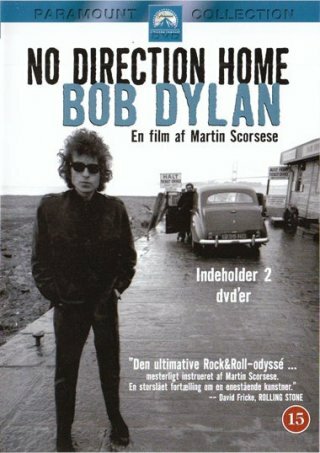 In his book "Positively Bob Dylan" Michael Krogsgaard says that Bob, who was playing acoustic guitar, stays for only a few seconds and then exits. 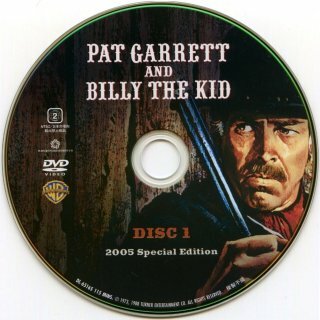 For the 2004 complete 4DVD release with R-0690 in full, see VHS & DVD 2000s Part 2. 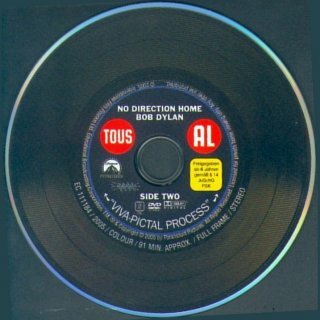 Thanks to Freddy Ordoñez Araque, Franck Faugere and Jean-Pol Hiernaux for information and to Jack Guerreiro for scans of the 2005 US release. 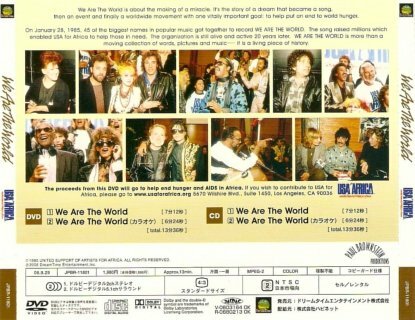 Warner WPBR 90450 (Japan) - front scan by Wil Gielen (commercial copy) This release, published exactly 20 years after the original "Live Aid" concerts, came in a standard DVD case. The price was ¥1,800 (¥1,714 plus sales tax). There was no obi from new. 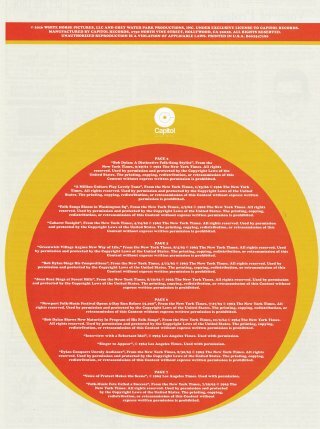 There was a single 4-page insert. 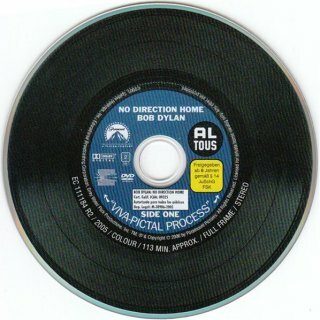 Two copies are shown - one is a promo with a numbered promo sticker over the barcode on the rear of the DVD insert and "SAMPLE LOANED" in the clear centre of the DVD. The other (still sealed) is the commercial release. 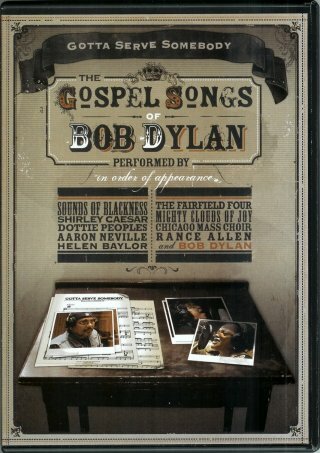 The programme is partly about the murder of Emmett Till and includes Bob's song, played over a series of still photographs. 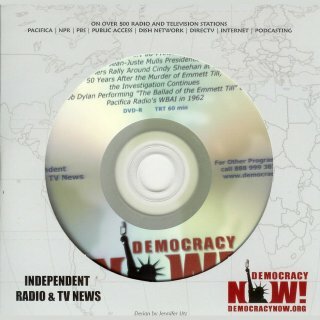 The DVD-R comes in a "Democracy Now" generic card sleeve and has a printed disc with programme information. 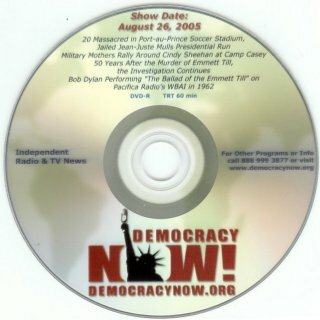 For an audio-only version of this programme, see 2005. 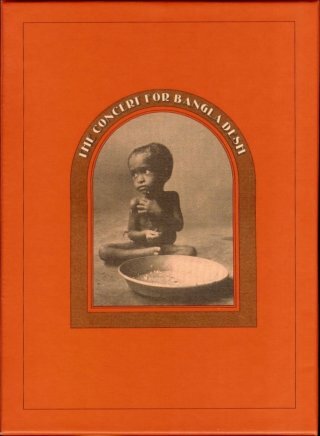 Originally released on the Smithsonian/Folkways album Broadside Ballads Vol. 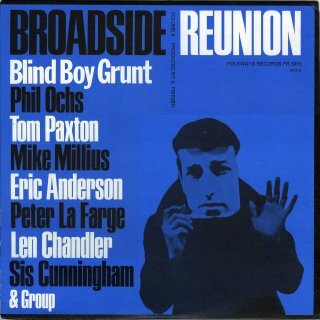 6: Broadside Reunion with Bob performing as "Blind Boy Grunt", see 1972. 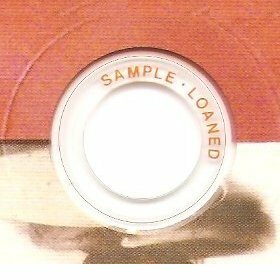 This is a different version from Witmark demo R-0035, found on the Warner Brothers sampler Nine Songs Publisher’s Sampler, see 1967, now released on The Bootleg Series Vol. 9 - The Witmark Demos 1962-1964, 2010. Sadly there is only about 30 seconds of this performance! 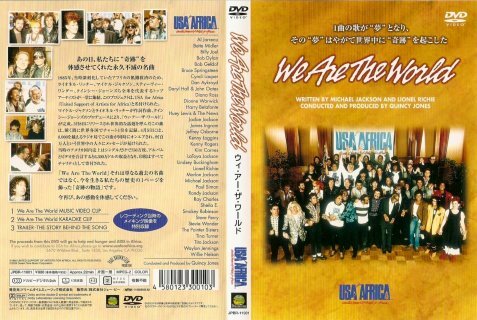 This DVD is of an 80 min documentary broadcast in the USA in Sep 2005. 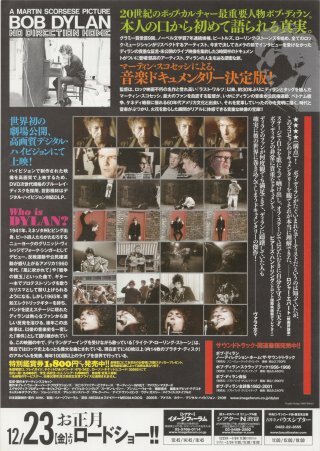 On the DVD there is also a 60 min extra feature called "The First Five Years...The Rest of the Story", but that has no Dylan content. Thanks to Freddy Ordoñez Araque, Tim Dunn, Glen Dundas and Stuart Moore for the information. 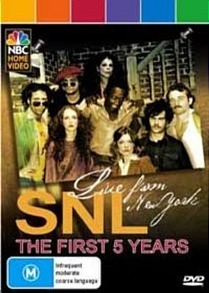 Thanks to Jack Guerreiro for information that the complete Season 5 of the US NBC TV series "Saturday Night Live" with all the musical performances in full was released in the USA in Dec 2009. 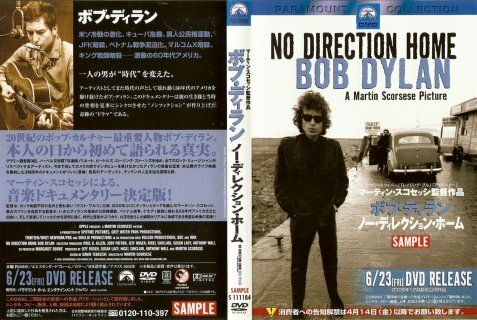 As well as Gotta Serve Somebody, Bob also performed When You Gonna Wake Up and I Believe In You from Slow Train Coming at NBC Studios, New York, on 20 Oct 1979, and these are included in full in that DVD set. 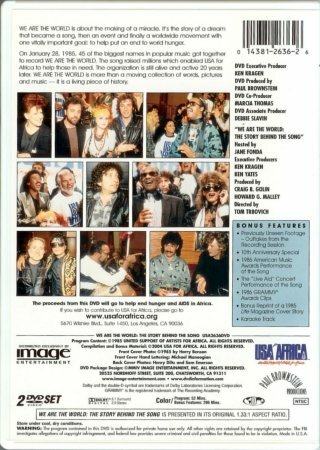 For more details see VHS & DVD 2000s Part 4. Front of slipcase with sticker (my American copy) For The Bob Dylan Scrapbook, 1956-1966, the Sep 2005 book associated with this documentary with text by Robert Santelli, see Interviews with Bob. 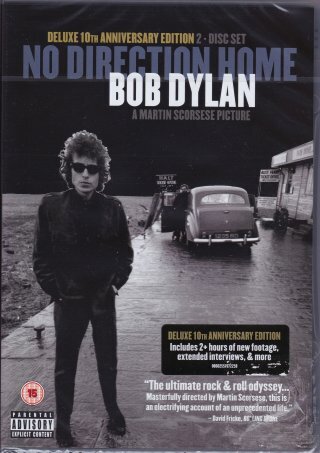 This release covering the years up to 1966 is directed by Martin Scorsese and was shown on PBS in the USA and on BBC2 in the UK on 26-27 Sep 2005. 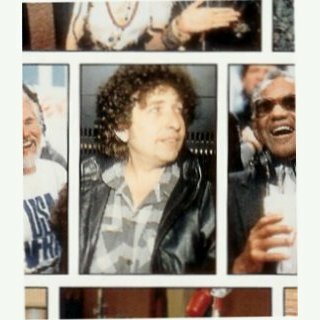 It contains very exciting previously unreleased footage (see below) as well as excerpts from ten hours of interviews with Bob conducted by Jeff Rosen in 2000. 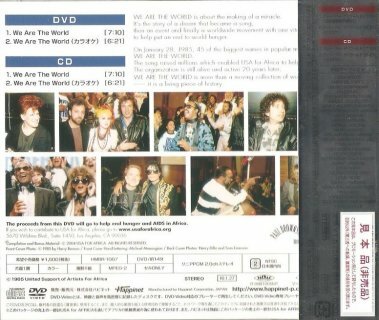 The 2DVD set released at almost the same time contains many bonus live performances not included in the documentary itself. 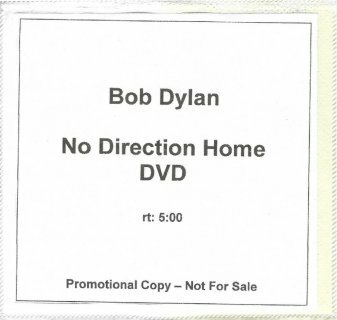 The DVD case has an orange sticker advertising seven never-seen-before Dylan performances. 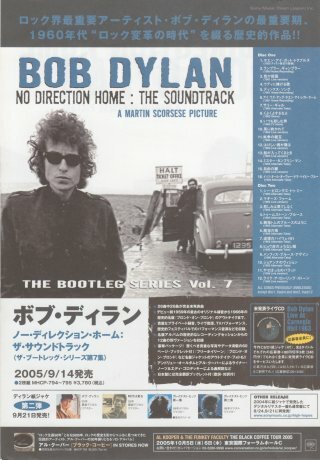 The 2CD set associated with the Martin Scorsese documentary was released on 16 Aug 2005 in the USA as The Bootleg Series Vol. 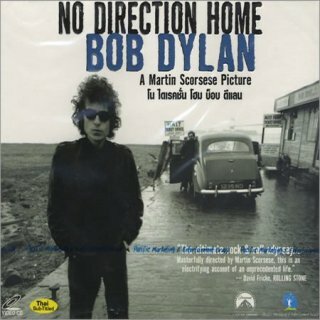 7: No Direction Home - The Soundtrack, see International Albums (Regular). 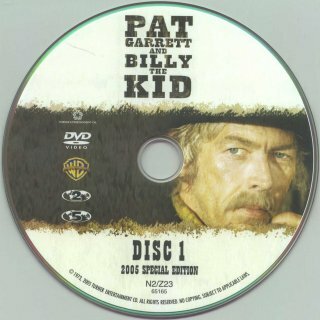 The US promo copy shown is on a single DVD-R, running time 5 hours. 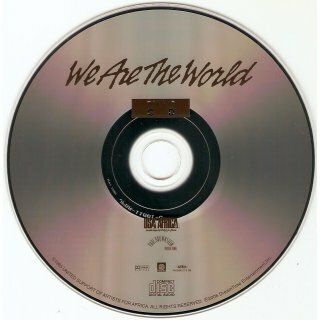 It is in a clear plastic sleeve with a white printed insert. 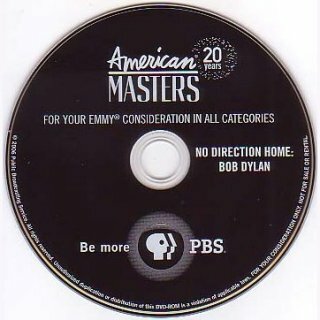 Thanks to the late Martin Barrack for scans of an Emmy 2006 "For Your Consideration" American Masters promo 2DVD set including No Direction Home and a John Ford/John Wayne documentary. 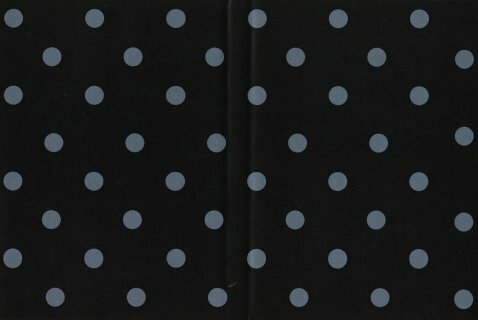 The pack (part of a set of nine DVDs in seven of these packs) is a folded wallet with the two DVDs in the middle section. 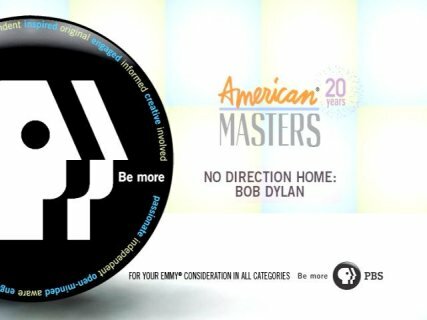 The film is exactly the same as the DVD release apart from the opening "American Masters" image shown on the left. 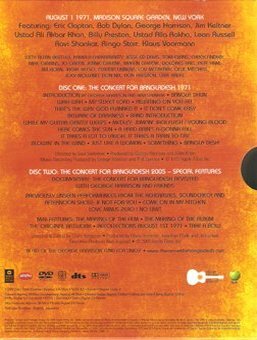 Thanks to Harold Lepidus for information about a Paramount US 2011 4DVD set called Rock & Roll Back Stage Pass: 4 Movie Collection which includes No Direction Home. 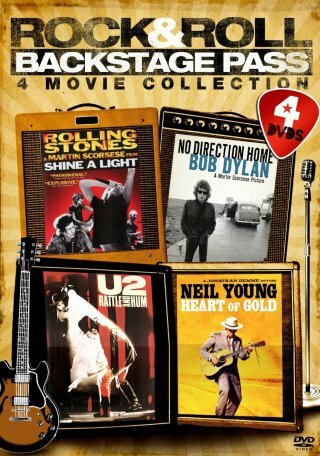 The other three titles are Shine A Light (The Rolling Stones), Rattle And Hum (U2) and Heart Of Gold (Neil Young). 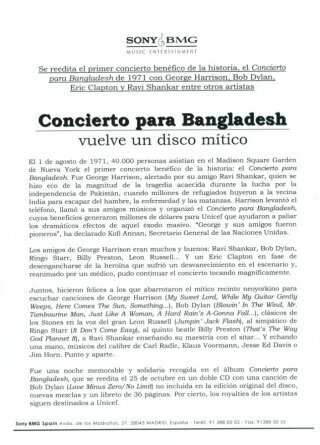 Thanks to Juan B. Heinink for this list of performances not on the soundtrack album: R-numbers will be allocated to these when I have the exact dates of the performances. 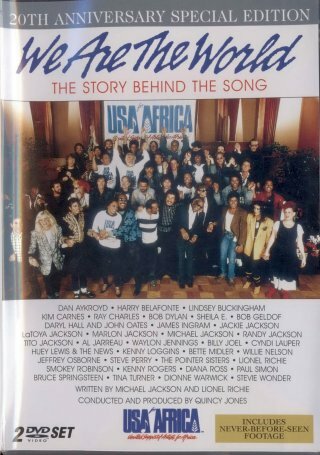 Thanks to Fred Muller and Bob Stacy for information on the extra performances on the DVD set not in the film. Three are misdated! 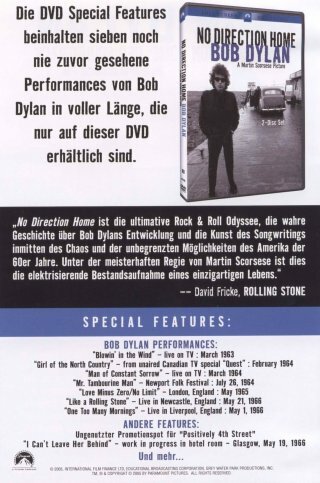 The audio of this performance is now available on the German Classic Hits compilation CD Blowin' In The Wind: 20 Versions, see 2010. For Bob Dylan: Broadcasting Live - The First 30 Years, an unauthorised 3DVD UK set from 2005 with video performances of Blowin' In The Wind, Man Of Constant Sorrow and The Ballad Of Hollis Brown from that broadcast, see Questionable Video Releases. 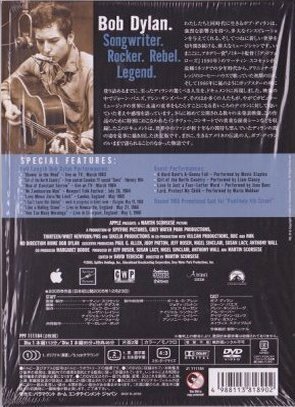 The Ballad Of Hollis Brown from this date has now been released in audio on the Columbia/Legacy/Sony Music Europe 6LP limited edition 50th Anniversary Collection 1963, Dec 2013. 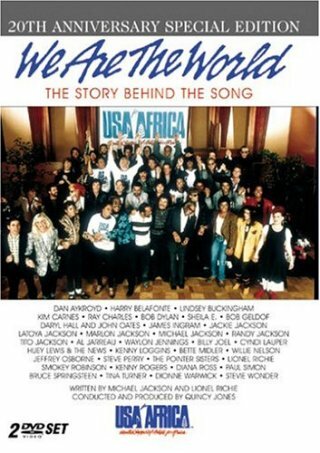 This video performance is now included in the 2015 US DVD Sing Out! 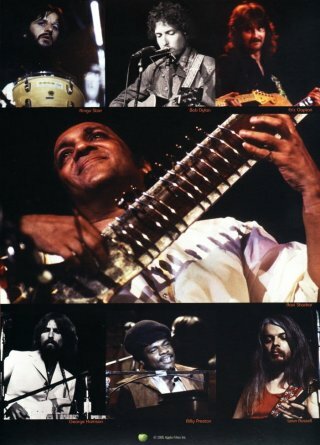 Icons Of Folk (see VHS & DVD 2010s Part 1). 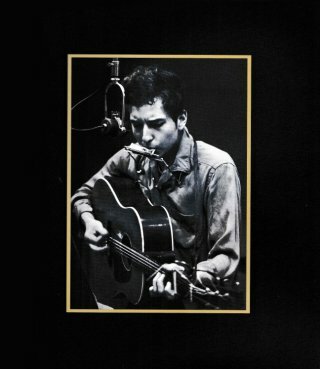 The audio version of this performance is on the 2CD set The Bootleg Series Vol. 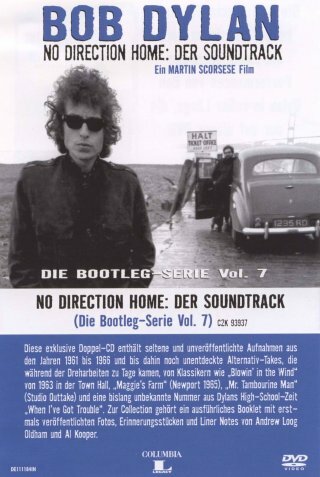 7: No Direction Home - The Soundtrack, see International Albums (Regular). Larry Crum has now confirmed this is not the performance from the Vanguard album Newport Broadsides (Topical Songs), 1964, which now turns out to be from the morning workshop on 27 Jul 1963 (not the afternoon workshop on 26 Jul 1963 as previously listed). This is therefore the first appearance of this evening show performance! 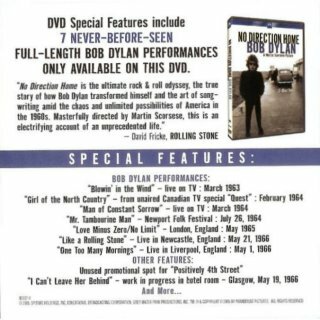 A different part of this performance (which I have still listed as R0021) occurs in the 2007 DVD The Other Side Of The Mirror: Bob Dylan Live At The Newport Folk Festival 1963-1965, see VHS & DVD 2000s Part 4. 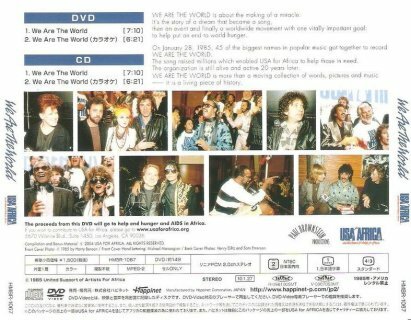 This performance in the special features section of the DVD is from the afternoon workshop on the 24th and not from the evening performance on the 26th - it is therefore previously uncirculating. 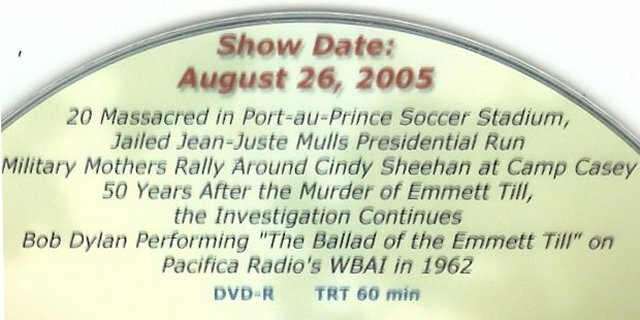 The genuine evening performance from 26 Jul 1964 (R-0726) turned up as part of a Three Track Download Only Single, available for download from iTunes in the UK and USA in Nov 2005, see 2005. 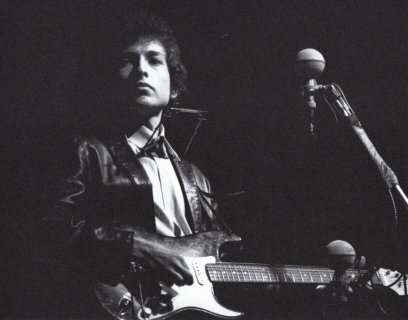 R-0719-2 Like A Rolling Stone - Live with The Hawks, Odeon Theatre, Newcastle, England, 21 May 1966, previously included in the 1967 unreleased documentary "Eat The Document", see VHS & DVD 1960s). 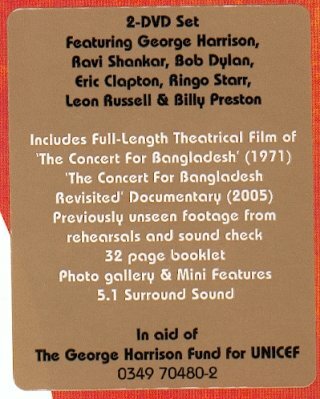 The audio from this performance is also on the Columbia/Legacy USA/Europe 36CD set The 1966 Live Recordings, Nov 2016, where it's attributed incorrectly to Cardiff! Derek Barker says "The syncing and also the lighting angles plus the Bob's black shirt, all confirm that the video (as well as the audio) are from Newcastle. However, at around 1.45 - 1.55, shot from behind, you can see a green and white harlequin left shirt cuff! If it is the green and white harlequin shirt than that section of the clip can't be from Newcastle and must be from Cardiff, one of the very few places he wore that shirt. Also, the background lighting changes from deep red to light orange at different points during the performance." Peter Coulthard says "I think we all agree the audio on that video is all Newcastle. 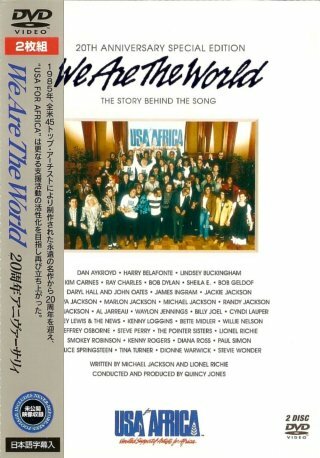 The film on the video is from at least 2 venues, there is no doubt about that. 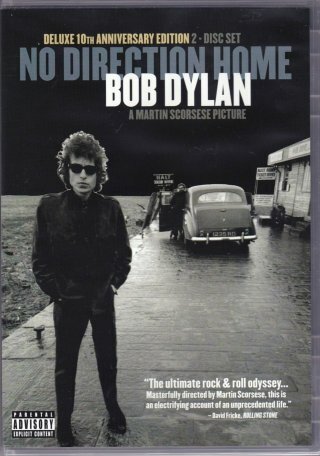 The vast majority of the film (close ups of Bob singing - black shirt etc) is from Newcastle. 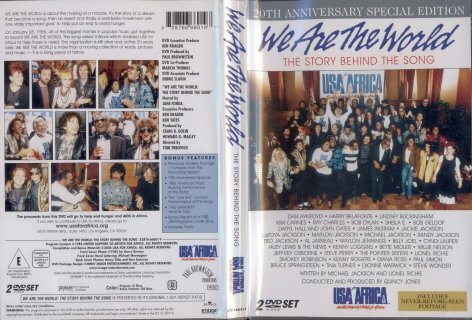 The film taken from the side and rear of the stage (and where other members of the band are featured) is unlikely to be all from Newcastle and may well be from 2 or more venues. 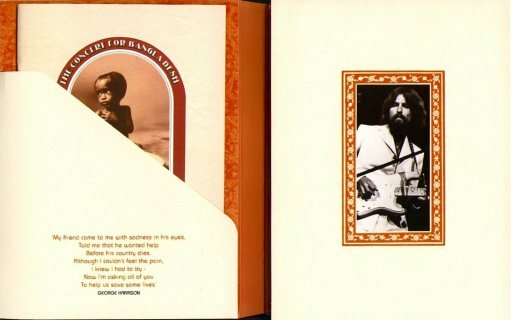 Apart from the instances where it appears that Bob is wearing a different shirt (as Derek mentioned) there is a moment at approx 06:47 where Rick Danko is seen with a white shirt, just for a second or two. In other shots - Newcastle, I believe - his shirt is a dark colour. Mickey Jones can be seen wearing a tan jacket at the start - so not Newcastle- but is wearing black at the end when he departs the drum riser - Newcastle, I believe. Whether the second venue is Cardiff, well, it is certainly possible. And we shouldn't discount the possibility of a 3rd venue in that film." The video therefore may be a compilation of more than one performance, but the audio is all from Newcastle. On the Columbia/Legacy USA/Europe 36CD set The 1966 Live Recordings, Nov 2016, this performance is the last track on the Cardiff CD (CD11), while the real Cardiff performance is the last track on the Newcastle CD (CD25). 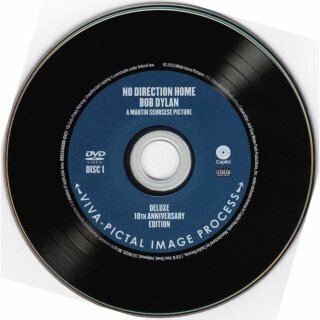 Sound engineer Richard Alderson usually changed tapes before Like A Rolling Stone to ensure he caught the full performance, so performances of the song were on separate tapes on their own, which may explain why the performances were mixed up. Thanks to Derek Barker, Peter Coulthard and Roger Ford for confirming R-0719 is definitely from Newcastle, not Cardiff. 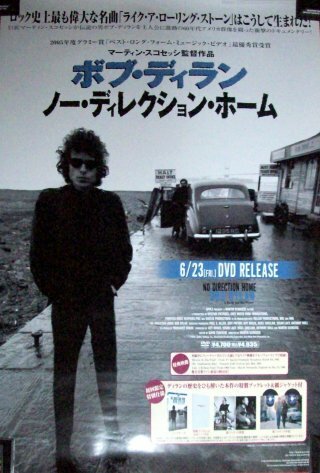 Different clips of this rehearsal appeared in the 1967 Murray Lerner film Festival" (see VHS & DVD 1960s) and again in the 2007 DVD The Other Side Of The Mirror: Bob Dylan Live At The Newport Folk Festival 1963-1965 , also directed by Murray Lerner (see VHS & DVD 2000s Part 4), but I've given them the same R-number for convenience. Thanks to Larry Crum for information. 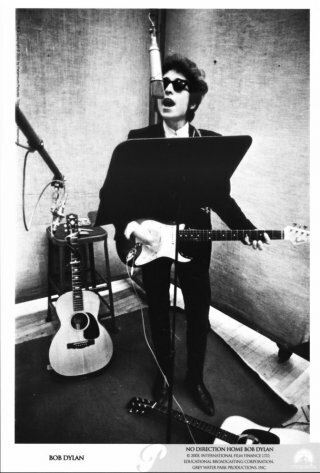 Thanks to Ian Woodward for information that the sound that accompanies the video clip is actually from the 1965 studio-recorded single, not the live audio from the White Plains concert! 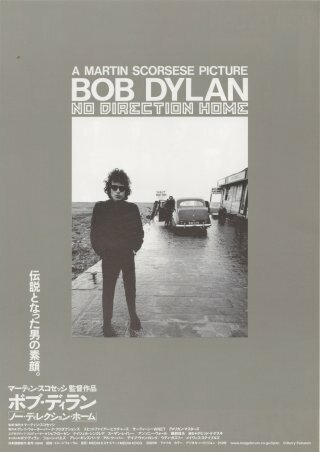 Juan B. Heinink says "I think that the song that Dylan performs on this clip is the song copyrighted under the title On A Rainy Afternoon, because Dylan sings the verse "I can't leave her behind" on a different clip from "Eat The Document": the song actually copyrighted as I Can't Leave Her Behind. Probably, both clips were fragments of the same "work in progress", but were copyrighted by Dwarf Music in 1978 as two different songs." Neil Burling points out that Olof Björner dates this as 18 May 1966. 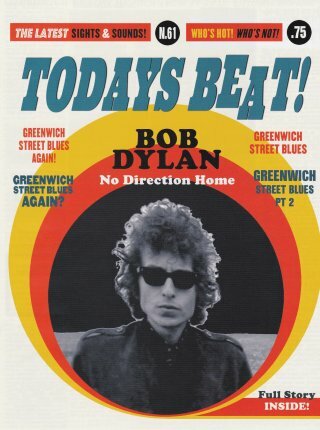 Glen Dundas dates it as 19 May 1966, as here, while Clinton Heylin hedges his bets and dates it as "18 or 19 May". 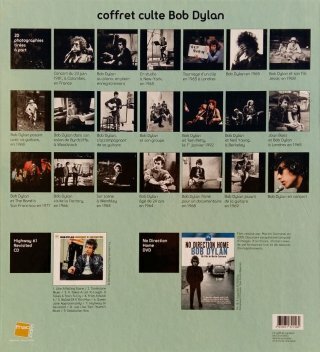 The 2015 18CD set The Bootleg Series Vol. 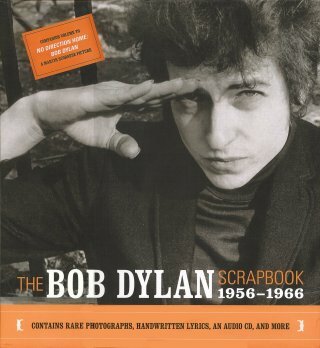 12 - Bob Dylan 1965-1966 The Cutting Edge Collector's Edition dates it as 13 May 1966. 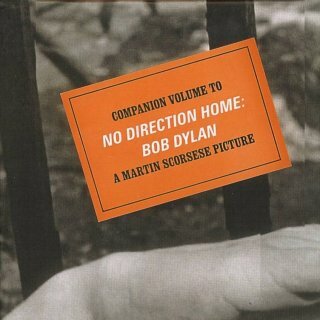 Larry Crum adds: "The fragment on Robbie Robertson - "Going Home" (see VHS & DVD 1990s Part 1), previously identified as On A Rainy Afternoon is really I Can't Leave Her Behind (this actually contains the words "I can't leave her behind") while the song on "No Direction Home - Bob Dylan" identified as I Can't Leave Her Behind is really On A Rainy Afternoon. They sound like two very different songs although I understand they are different stages of development of the same song. 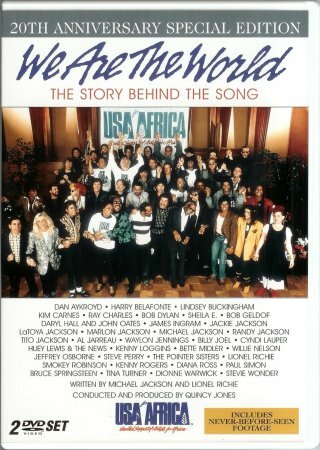 Somewhere along the line the titles have been confused!" 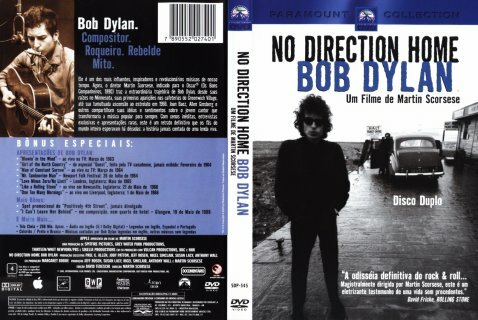 Larry also says: "On the No Direction Home DVD where it is covering Newport 1963, there is a cut of Dylan and Baez performing With God On Our Side. Joan Baez drags Dylan onto the stage, (so it must be her performance with him as guest) and it is referenced in the DVD as "closing night" (it definitely is at night on the same stage as the other Newport evening concert performances). 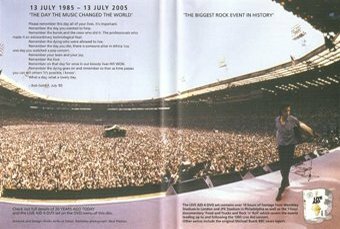 This would make this the 28 Jul 1963 evening concert performance. 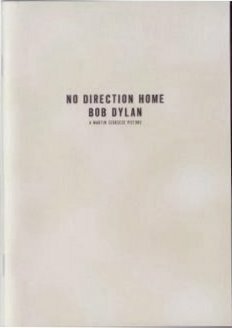 However it is different from the Newport Broadside: Topical Songs At The Newport Folk Festival 1963 performance (R-0021, see 1964) which has always been accepted as the 28 Jul 1963 evening concert performance. The Baez harmonies are especially different. Perhaps Newport Broadside actually contains the 26 Jul 1963 workshop performance. 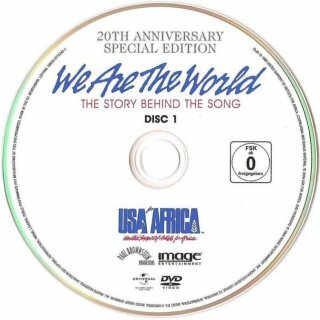 It will be interesting to see if The Other Side Of The Mirror 2007 DVD (see VHS & DVD 2000s Part 4) will cast some light on this." Bob Stacy has now proven that the performance on the Newport Broadside album is actually from the 27 Jul 1963 morning workshop performance (R-0311 - stereo/R-0311M - mono), which has meant considerable change to 1964 and R-numbers! The version from the afternoon workshop on 26 Jul 1963 does not seem to be circulating. Thanks to Jack Guerreiro for the information that the documentary was available for download from iTunes in Jan 2006 as a four-part "Podcast". 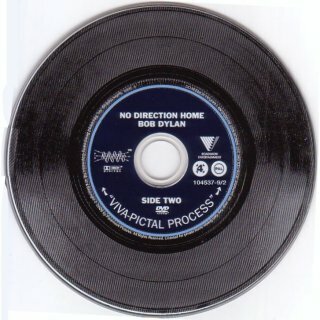 An excerpt from the film soundtrack (Bob's rap outside the pet shop) was released under the name Apothecary on a French Naïve Records compilation Dylan Mania Par Béatrice Ardisson, see 2009. 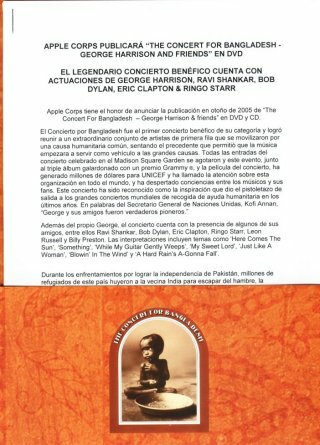 Thanks to Tim Dunn, Freddy Ordoñez Araque and Bob Stacy for information. Thanks to Tom Shreck for information about a "Deluxe 10th Anniversary Edition" of the No Direction Home documentary to be released as a Blu-Ray two disc set on 30 Sep 2016. 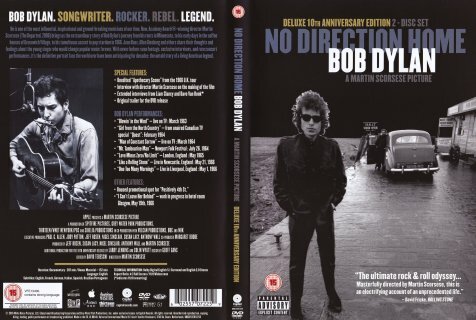 The set is expanded with over two hours of extra footage and previously unseen interviews, such as an interview with Martin Scorsese; long versions of interviews with Dave Van Ronk and Liam Clancy; plus unseen footage from the UK tours (Don't Look Back/Eat the Document - yet to be documented). 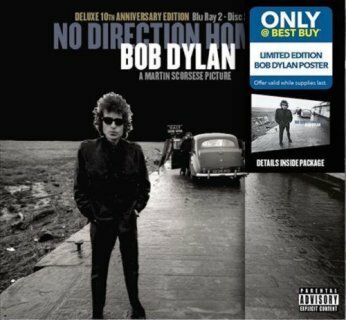 The front of the US Best Buy edition shown has a “PARENTAL ADVISORY” sticker in the bottom right corner. 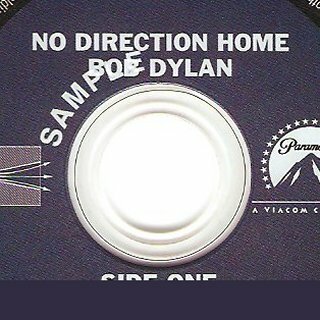 This new version is screening at the "Dylan On Film" festival organised by the Bob Dylan Archive in Tulsa, OK, on 21 Sep 2016. 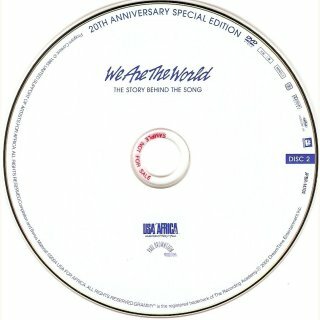 The two disc set is Blu-ray Region A and may not play on Blu-ray players outside North America. 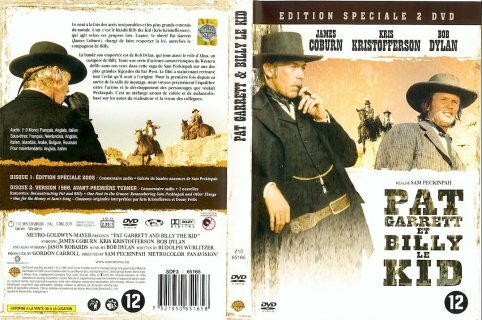 Jean-Pol Hiernaux's European DVD copy (not Blu-ray) was bought in Belgium in Nov 2016 and was made in the Netherlands. This copy is region-free. 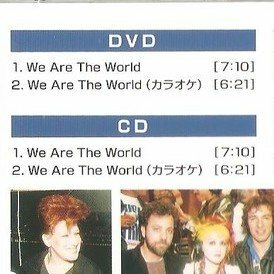 Thanks to Jack Guerreiro for scans of the US 2DVD Capitol release. 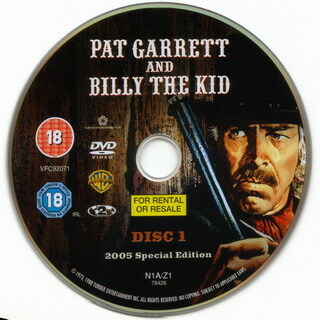 Fred Muller has a DVD copy of the UK release bought in New Zealand. 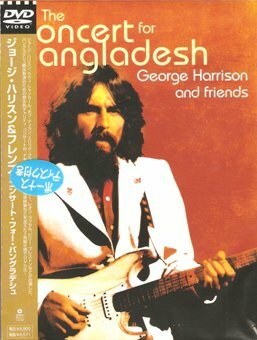 He says: "This copy was made in the EU with the British "15: Contains Strong Language" censor image printed on the back and the New Zealand "M" rating (for "offensive language") stuck on the front. One Too Many Mornings from Liverpool 1966 is still misdated as May 1! 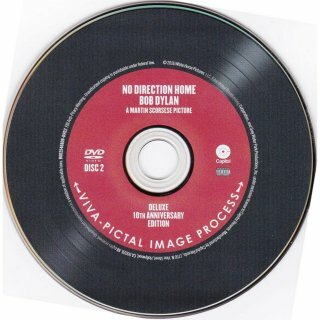 It contains over two discs the original 207-minute documentary with an additional 150 minutes of interview material, principally with Martin Scorsese, Liam Clancy and Dave Van Ronk. There is no further music or Jeff Rosen interview material. 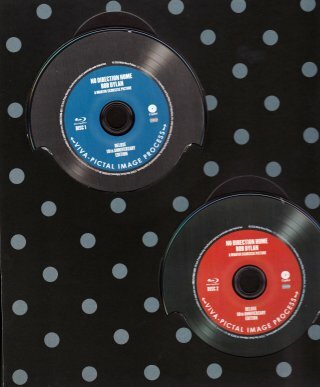 The discs resemble vinyl with, respectively, blue and red labels." 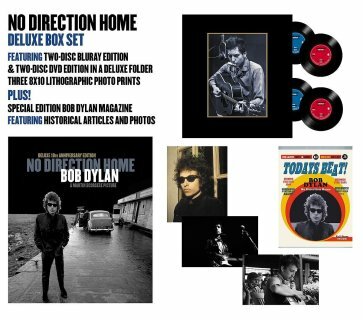 This set comes in a 10" x 11" cardboard box (with removable lid/box top) and comes with a Dylan magazine (8" x 10 3/4") reprinting historic articles plus three 8" x 10" photo prints of Dylan together with a card folder housing the 4 discs. 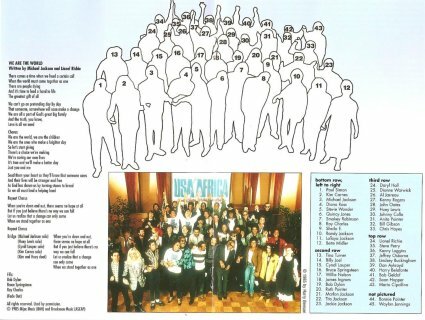 Thanks to Jean-Pol Hiernaux for the scans of the Benelux release and the picture of the US promo and French releases. 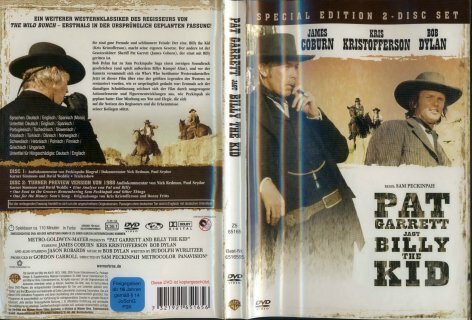 Thanks to Gerd Rundel for scans of the Region 2 German release, which has text in German on the DVD case insert and a separate German language insert inside. 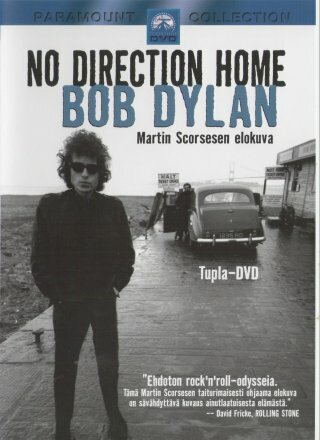 Thanks to Janusz Weselski for scans of the 2010 Polish release. 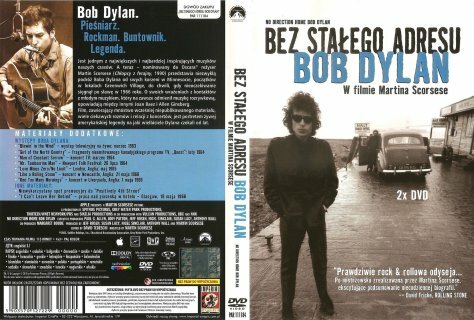 The 2010 Polish release is unique in having the title on the front of the DVD insert translated into Polish - "Bez Stałego Adresu". 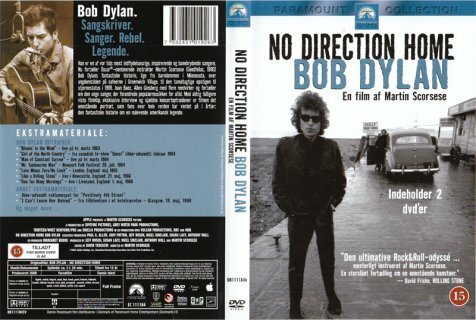 Thanks to Hervé from France for information about a boxed set called "Le Coffret Bob Dylan [The Bob Dylan Box]" available in Jan 2014 with a special issue of the French newspaper "Le Nouvel Observateur" that includes "No Direction Home", "I'm Not There" from 2007 (see VHS & DVD 2000s Part 4) and a French language book (above left). 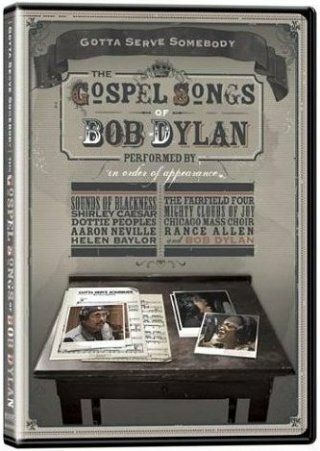 For a different 2012 French boxed set, see below. 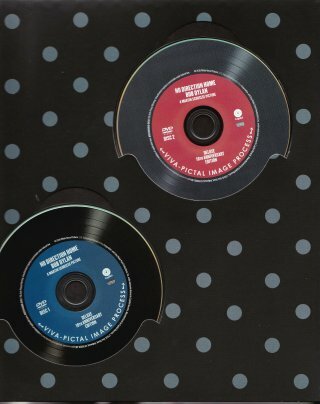 Here are three Scandinavian releases with the same catalogue number, with a country-specific prefix. There may also have been a Swedish release - information required! 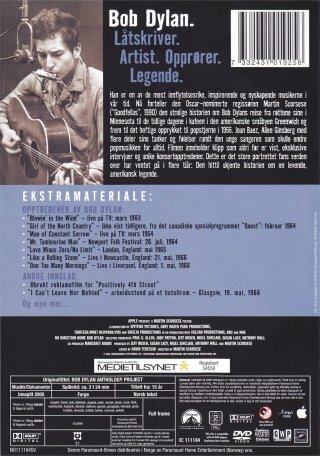 Thanks to R. Jørgensen for scans of the Danish release, to Anssi Sallmén for the scan of the Finnish release, and to Harald Sigvartsen for scans of the Norwegian release. 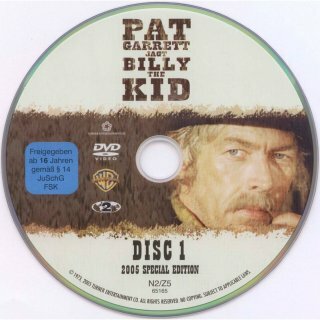 The Finnish DVDs are the same as the Danish DVDs shown. 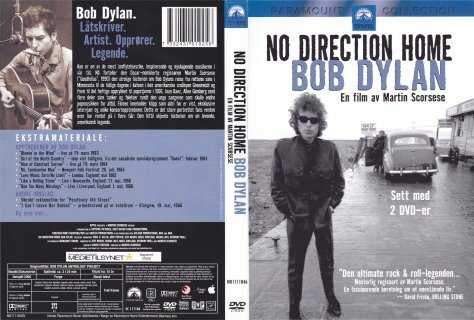 The Norwegian DVDs look the same as the German DVDs above. 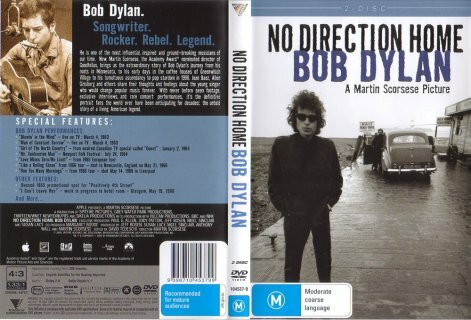 Thanks to Martin Barrack for scans of the Australian release. 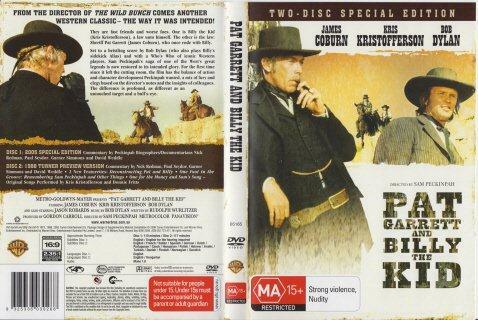 The Australian release has a clear case and printing on the reverse of the case insert. 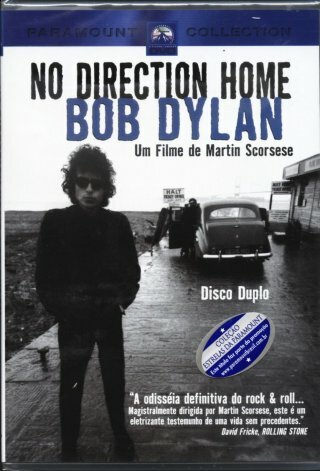 Thanks to Alexandre Froemming for scans of the Brazilian release. 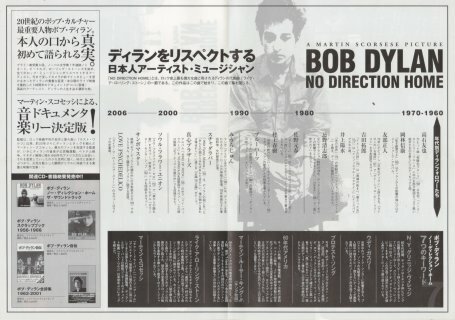 It has a bonus black and white picture not found in the other worldwide releases. 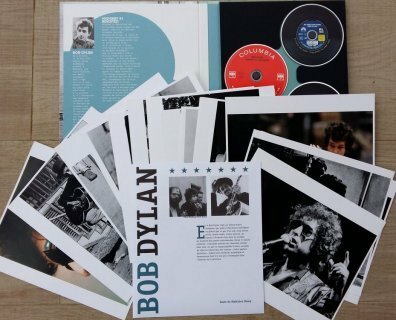 This release in the Fnac 2008 "Les Coffrets Cultes [Cult Boxes]" limited edition series ("Discover the universe of a cult artist") is a large box (26x29 cm) including an eight page booklet by Matthieu Remy, 20 large photographs, a CD (Highway 61 Revisited) and two DVDs (No Direction Home by Martin Scorsese). Thanks to Jean-Pol Hiernaux and Wiebke Dittmer for information about the Thai Video CD release, released in 2005. 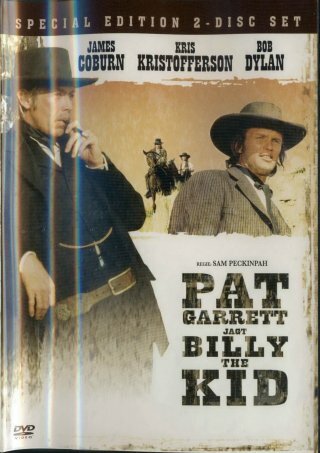 This release comes in a slipcase with three discs! 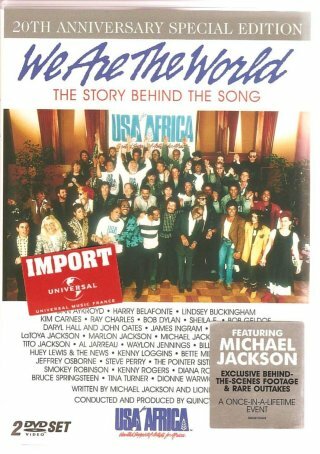 Thanks to Michel Pomarede for information and scans of the French boxed set. 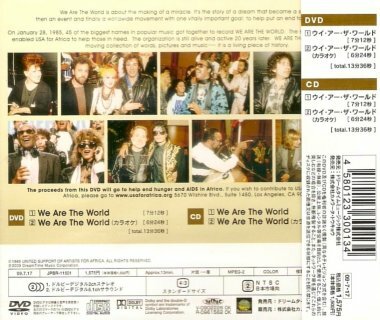 Paramount Home Entertainment S111184 (Japan), promo release in DVD-size digipak - front scan by Wil Gielen Thanks to Wil Gielen for scans of a promo copy of the Limited Edition of PPF 111184, the standard Japanese release of PPF 111184 with a different sticker, and two 2006 Japanese promos. 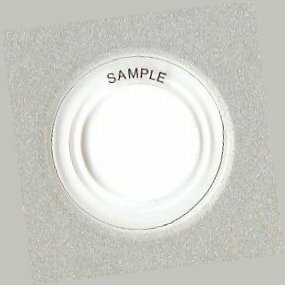 S111184 (marked "SAMPLE"). This is the full 208 min DVD release, PRMD-0052 is a sampler only, not full-length. 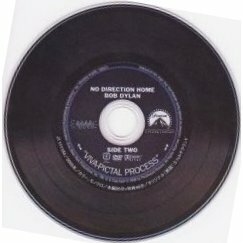 PRMD-0052 comes in a clear DVD digipak with no inserts. 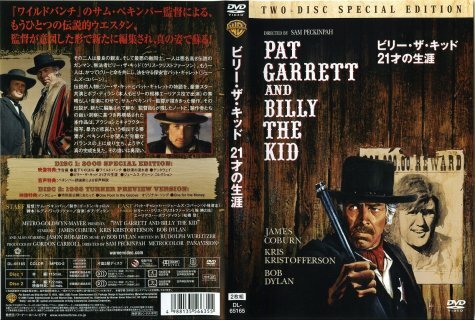 Thanks also to Gerd Rundel for finding a promo Japanese single DVD release on eBay and to Sonny Boy McFitzson for two 2005 flyers, one given out in cinemas. 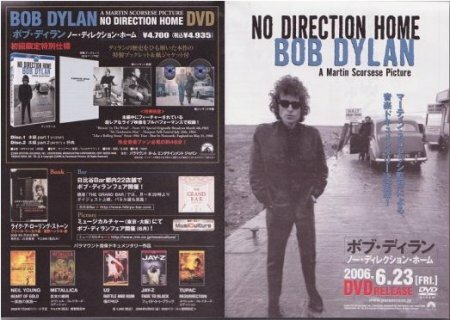 Paramount Home Entertainment PPF 111184 (Japan), 2006 Special Limited Edition - slipcase front with sticker, scan by Sheiji Murata Thanks to Rob Cole for finding pictures of the Japanese DVD release and to Sheiji Murata for scans of the 2006 and 2007 limited editions. Thanks to Sonny Boy McFitzson for a 2006 flyer with four folds. 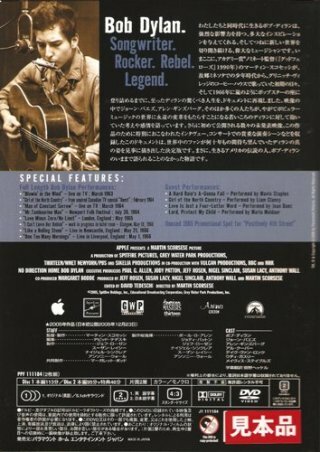 Paramount Home Entertainment PPST 111184 (Japan), 2007 Special Limited Edition in CD-size digipak - front scan by Sheiji Murata This 2007 Special Limited Edition comes in a CD-size digipak. 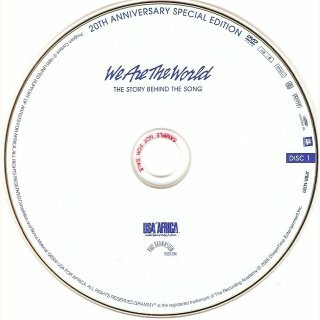 The discs are the same as for the 2006 Special Limited Edition. 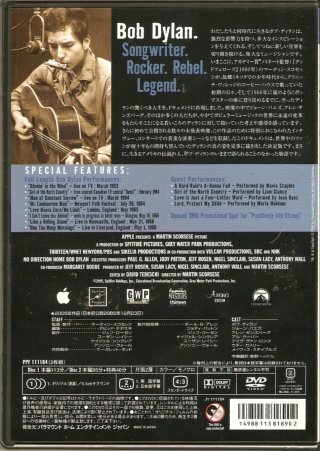 Paramount Home Entertainment PQF 111184 (Japan), 25 May 2007 (Low Price Standard Edition) - front scan by Wil Gielen Thanks to Wil Gielen for scans of the 2007 Paramount release in their low cost "Greatest Hits" series, which included many films at ¥2,625 (including sales tax). 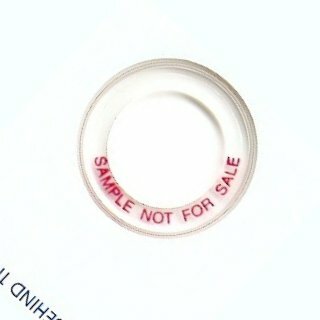 The copy shown is still sealed. 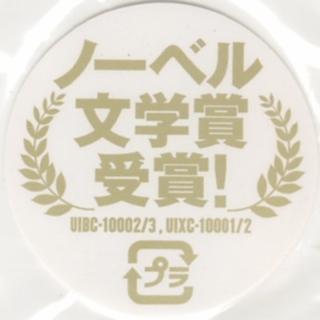 Universal UIBC-10002/3 (Japan) - front with obi and sticker, scan by Sonny Boy McFitzson Thanks to Sonny Boy McFitzson for news from Universal Music Japan of the Japanese editions released on 7 Dec 2016. 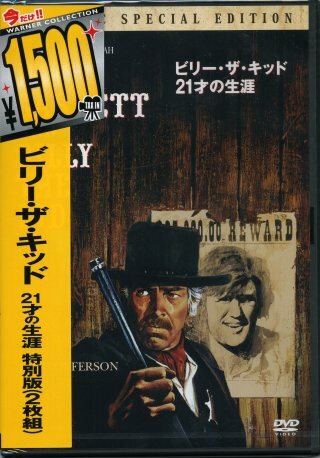 The 2Blu-ray edition (not shown) is Universal UIXC-10001/2 and priced at ¥6,804, The 2DVD edition is UIBC-10002/3 and priced at ¥5,724. 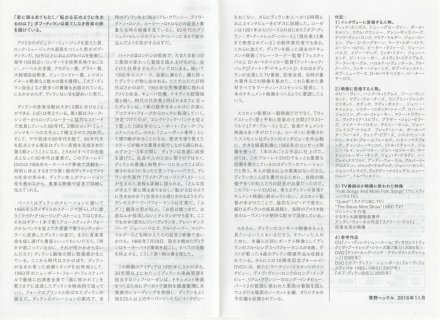 There is a Japanese language insert with notes by Heckel Sugano. 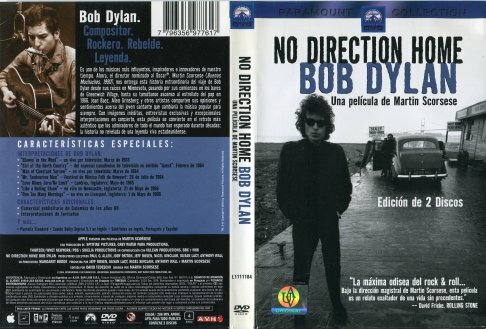 This release has Spanish text front and rear of the DVD case insert. 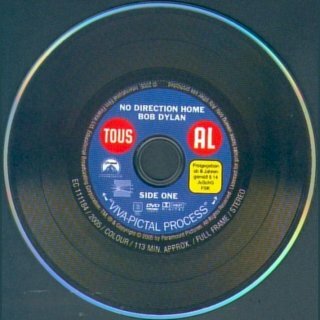 The features are in English, with subtitles in English, Portuguese and Spanish. This edition does not have an inside insert. 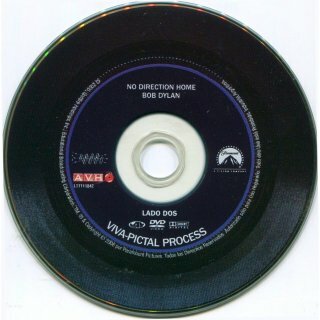 On the front, at bottom left, is the anti-piracy hologram of the UAV (Union Argentina of Video), that guarantees that the edition is original and legitimate. 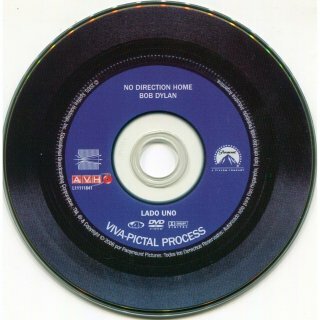 Disc 1 (Lado Uno) has catalogue number “L11111841” like the catalogue number on the insert. 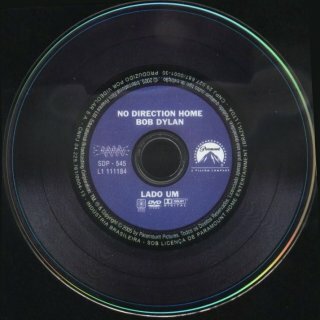 Disc 2 (Lado Dos) has catalogue number “L11111842”. 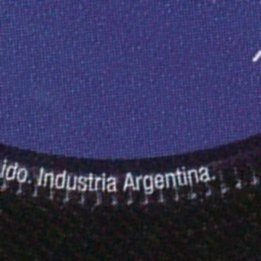 This Argentinean release was exported to Uruguay and Paraguay, for sale in these countries. This release is No. 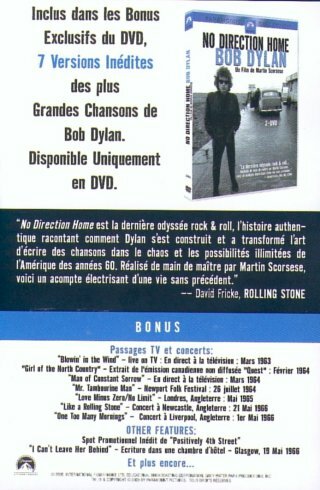 4 in Series 2 of the DVD series "Les Icones du Rock [Rock Icons]" bought with the French TV magazine "Télérama". 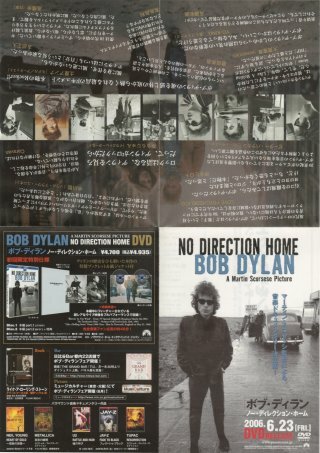 The six DVDs can also be bought in a box. 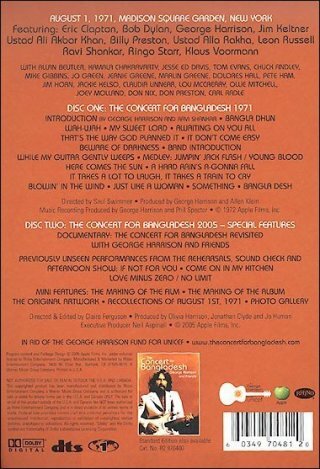 Apple/Warner Music Vision/Rhino R2 970481 (USA) - front of boxed set, scan by Jack Guerreiro All songs recorded live with George Harrison, Leon Russell and Ringo Starr, Madison Square Garden, New York, 1 Aug 1971 (evening show). 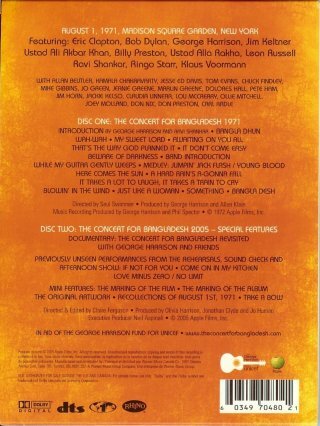 The video release omits Mr Tambourine Man (R-0078) from the Apple 1972 soundtrack album (see 1972). 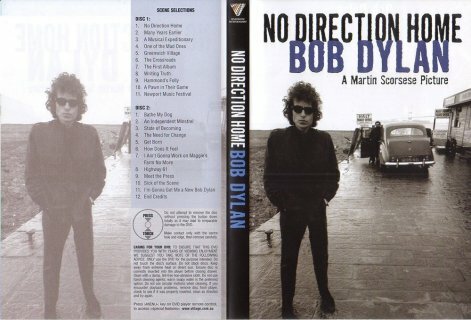 For the remastered CD version with the bonus track Love Minus Zero/No Limit (R-0722), see 2005. 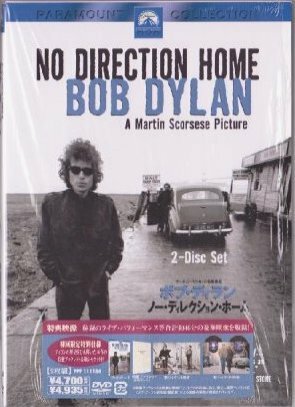 For original VHS video, laserdisc and DVD releases of the feature film, also omitting Mr. Tambourine Man, see VHS & DVD 1970s. 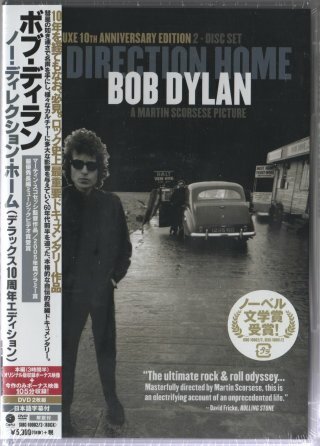 Arie de Reus thinks that when he saw the film on its first release in 1972 on a special large screen Mr. Tambourine Man was included, and that pre-release information for the VHS release in 1983 said that Mr. Tambourine Man would be included. However, no commercial release of the show has ever included it so far! 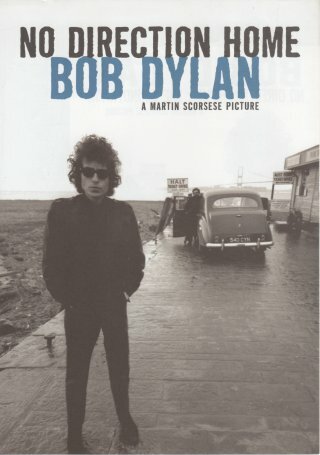 Can anyone else remember seeing the film including Mr. Tambourine Man in 1972? 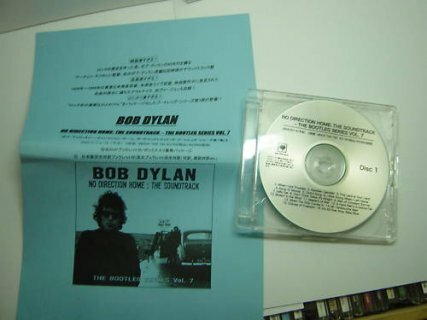 Ian Woodward says he has the original press pack from the 1972 screening, which lists the songs, and Mr. Tambourine Man is not included, so it may not have been filmed. Jenni Barrett says a video of Mr. Tambourine Man claiming to be from the Concert for Bangladesh was available on the Internet, but is no longer available. 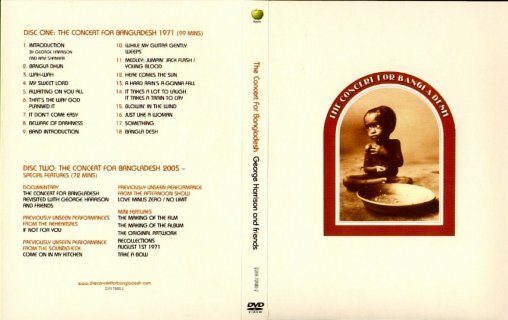 For the full version on disc 2, see below. 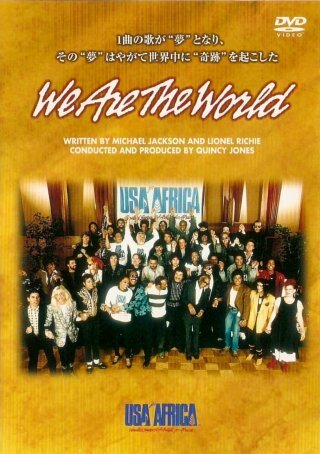 This performance also appeared on a 1983 compilation from Columbia Brazil, The Legend, see 1983. 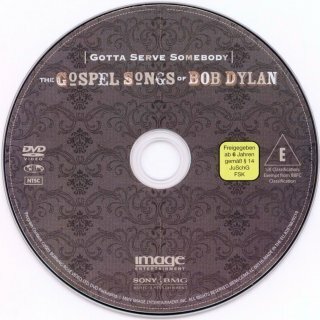 This performance also appeared on a 1995 Westwood One radio station broadcast about Dylan and the Beatles, see 1995. 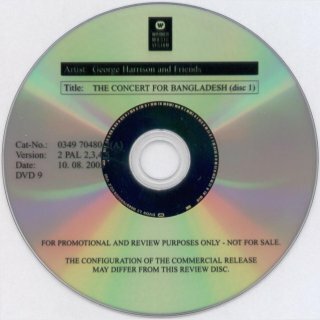 This performance also appeared on an Epic promo CD single for The Concert For Bangladesh, see 1991. 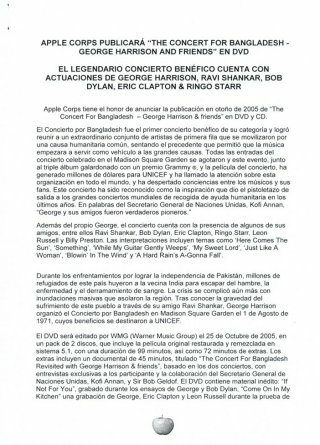 Thanks to Tim Dunn, Freddy Ordoñez Araque and Jack Guerreiro for information and scans. 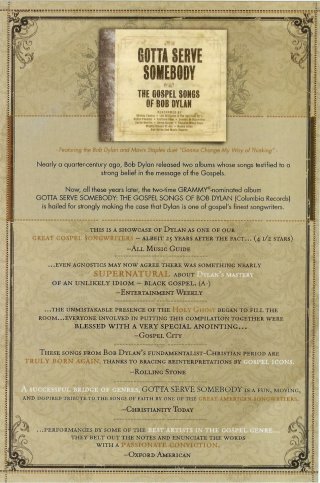 The boxed set is described as a "Deluxe Limited Edition Numbered 2-DVD set". My copy is 97,325 of 100,000 (which is bizarre since I bought it on the day of release)! The movie is now in 5.1 surround sound, as is the extra footage. The fold-over box includes a wallet with the 2 DVDs, an 80-page booklet with pictures of the show including several of Bob, 10 postcards (two of which are shown), an Apple car sticker, a leaflet advertising UNICEF, a reproduction of the original concert poster, and a reproduction of George's handwritten lyrics of the song Bangladesh. 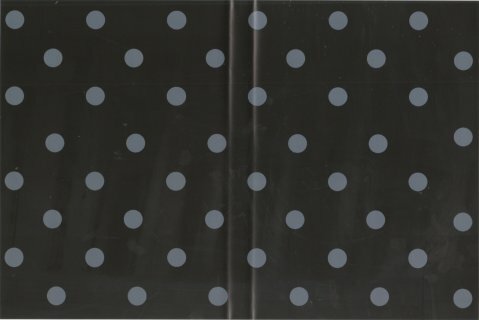 There is also a standard edition, which comes in a three-fold wallet inside a slipcase and has a shortened 32-page booklet. 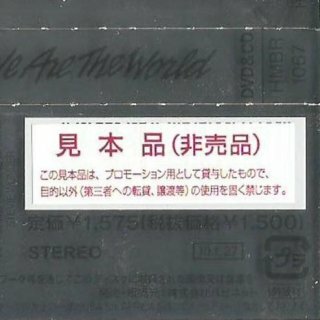 The sticker on the front of the European release is different from that on the deluxe edition. 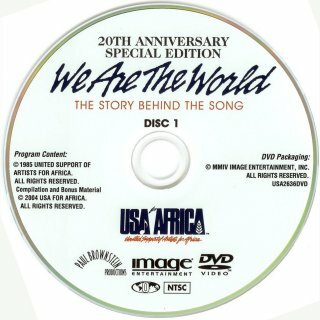 The promo DVD set shown above is European, not US as previously listed, the discs are PAL DVDs dated "10-08-2005" (10 Aug 2005 - disc 1) and "04-08-2005" (4 Aug 2005 - disc 2). 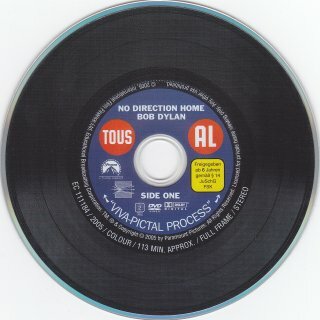 Thanks to Jean-Pol Hiernaux, Peter Good, Sam Plessers and Gerd Rundel for information and scans. The Spanish press pack shown above and left was issued in Aug 2005, and consists of a folded card with an information sheet stapled to the back, with a picture page and a promo DVD inside. 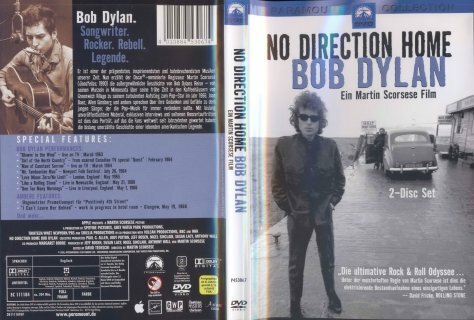 The promo DVD does not have a catalogue number and has three clips from the feature film, the second being a 35 sec excerpt of Bob performing Just Like A Woman. There was also a covering letter, shown far left. Apple/Warner Music Vision/Rhino WPBR-90530/1 (Japan) - front of slipcase with obi, scan by Wil Gielen This set came in a three-panel folded digipak inside a card slipcase with a gold obi with release date "05-11-2" (2 Nov 2005) and price ¥6,900 (¥6,571 plus sales tax). 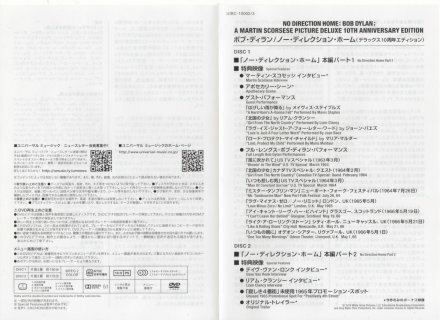 There is a 32-page stapled booklet in English, a six-page folded insert in English and Japanese and a one-sided insert in English (the reverse is blank). There is a pocket for these on the left-hand inside panel. 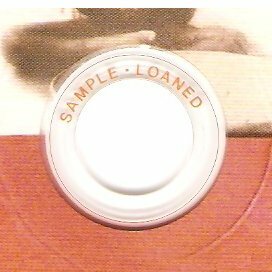 Also shown is a promo copy with a numbered sticker over the barcode on the obi and the text "SAMPLE LOANED" in the clear centre of each DVD. The picture on the front of the DVD cover is of Charlize Theron, who stars as a woman working in a Northern Minnesota mine who takes a stand against sexual harassment. As Bob was raised in Hibbing, a mining town in Northern Minnesota, it's easy to see why he supported this film. 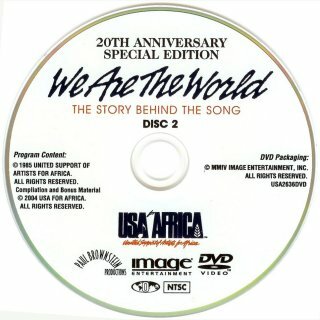 For the Sony Music Soundtrax original soundtrack album, see 2005. 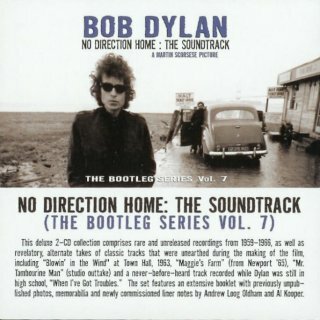 The North Country soundtrack album also includes Lay, Lady, Lay from Nashville Skyline, Do Right To Me Baby (Do Unto Others) from Slow Train Coming, and Sweetheart Like You from Infidels. 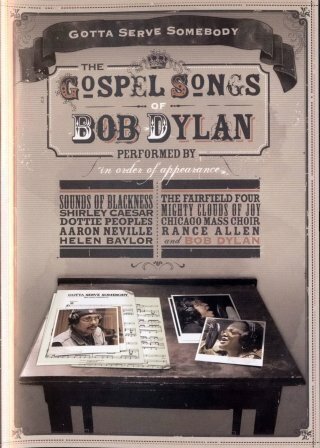 There are also covers of Girl From The North Country by Leo Kottke and Paths Of Victory by Cat Power. 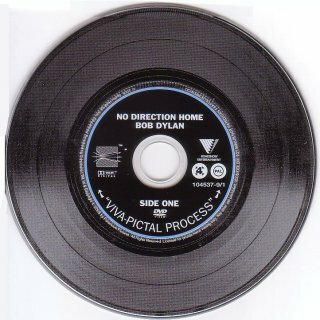 This track was one of the 42 rarities included for download with the Aug 2006 Apple iTunes Bob Dylan Collection, see Online Performances (Other). 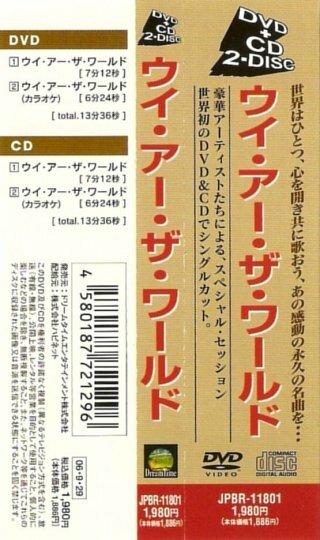 It was listed as an alternate take, but turned out to be R-0649. 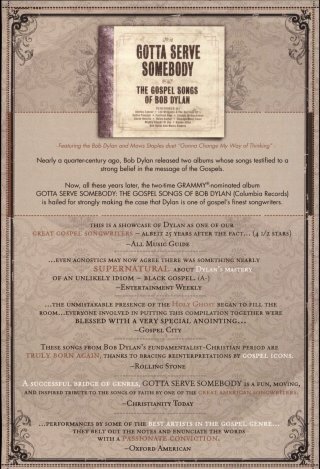 The real alternate take of Tell Ol' Bill was released in Oct 2008 on The Bootleg Series Vol. 8 - Tell Tale Signs: Rare And Unreleased 1989-2006, see here. This means R-0649 remains a rarity. 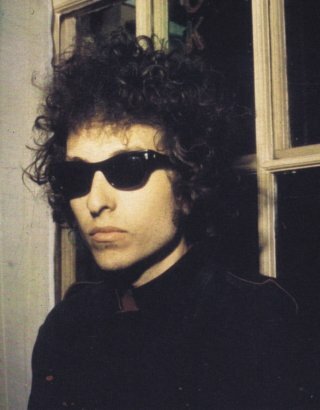 Speculation at first was that this was the previously uncirculating out-take from Self Portrait recorded at Columbia Studios, New York, 4 Mar 1970, now released in Aug 2013 on The Bootleg Series, Vol. 10 - Another Self Portrait (1969-1971). 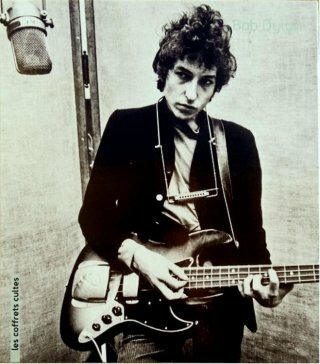 Clinton Heylin lists it as "Tell Old Bill", while Michael Krogsgaard lists it as "This Evening So Soon" as written on the studio session recording sheet, which is the Bootleg Series Vol. 10 title. However, R-0649 is in fact a new recording, made earlier this year with musicians including Elana Fremerman on violin. 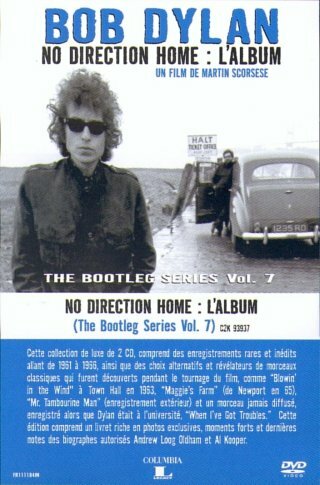 Thanks to Tim Dunn and Michael Mets for the information that the song is credited to "Bob Dylan" and is not the same as the traditional song, now released on The Bootleg Series Vol. 10 - Another Self Portrait (1969-1971) as This Evening So Soon, 2013. Thanks to Tim Dunn for the US catalogue numbers. The UK release is widescreen only, and has no insert. 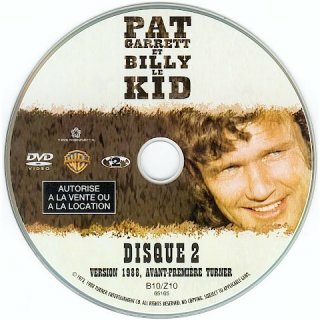 Thanks to Jack Guerreiro for scans of the Canadian release, which is also widescreen and has text in English and French and is titled "Le Vent Du Nord" in French. 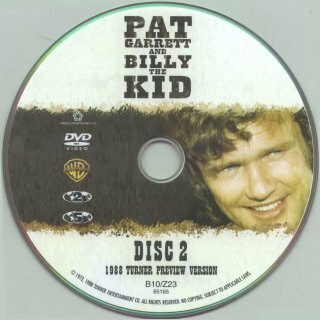 Thanks to Stuart Moore for the scans of the Australian release. NC: (happily) Oh, I'm the producer of that. It thrills me to the core. Q: There’s Bob Dylan from Minnesota, but is there another aspect of him that made him appropriate for this film? NC: Good question. When you're cutting the film, you put a lot of music in the picture to see what works. 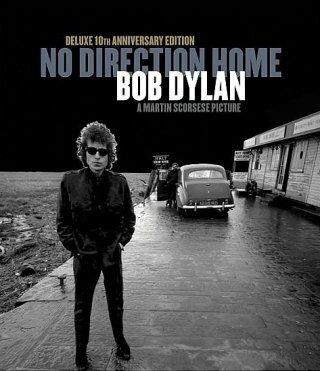 I'm a big Dylan fan, but I'm an equally big Springsteen fan. I tried some of Springsteen's stuff in the movie and it just wouldn't work. 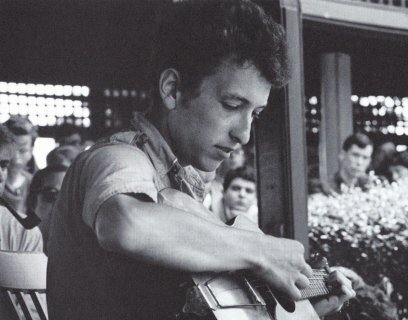 When I thought about it, when I really stopped to think about his music: It's very narrative, but it's almost exclusively from the point of view of the young American male and the working class world. 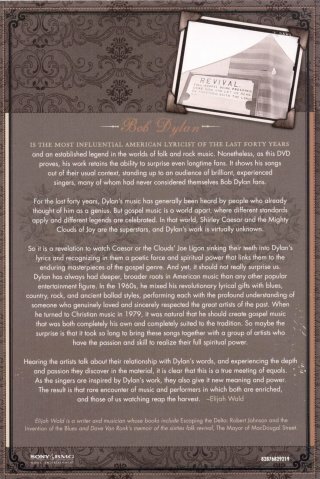 Then everything of Dylan's I put in the picture worked just like a charm. So we went to him to see if he'd write an original song for us. I went to meet him. I went from Auckland, New Zealand, to Camden, New Jersey, which is a long trip just for a day to join him briefly on his tour and discuss the movie with him. It was great. 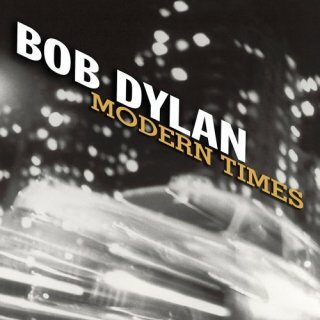 And then I just put more and more Dylan songs. 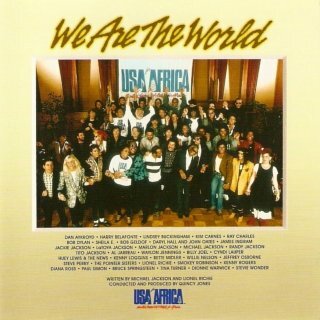 This instrumental first turned up on Columbia acetates in 1980. 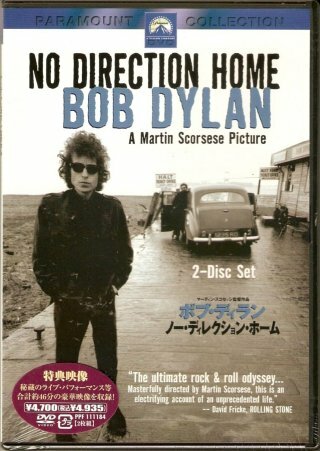 Thanks to Fred Muller for information it's also in the 2007 Todd Haynes film I'm Not There, see VHS & DVD 200s Part 4. 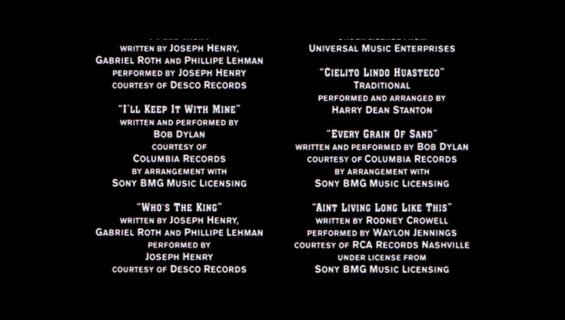 This film also includes Every Grain Of Sand from Shot of Love and covers of Wanted Man by Johnny Cash (not recorded by Bob, see Starlight In The East: Bob Dylans Unreleased Songs) and When I Paint My Masterpiece by The Band - as far as I know there is no soundtrack album. 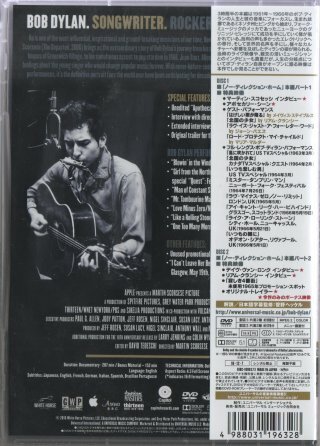 R-0401 has now been released in Nov 2015 on CD13 of the 18CD set The Cutting Edge 1965-1966: The Bootleg Series Vol. 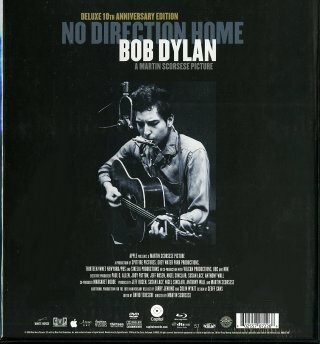 12 (Collector's Edition). 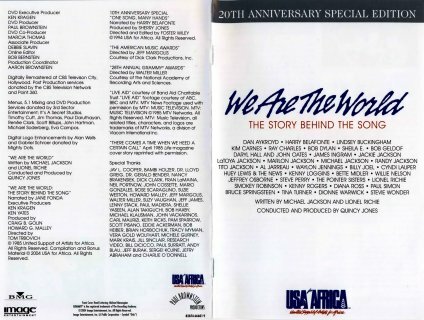 Thanks to Harold Lepidus, Jack Guerreiro and Stuart Moore for information and scans. 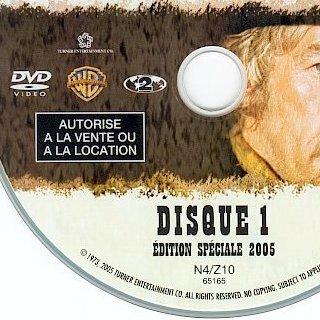 Thanks to Freddy Ordoñez Araque for information that a 2DVD set was released in the USA on 10 Jan 2006 with a "2005 Special Edition" version of the film (115 mins) on disc 1 and a "1998 Turner Preview Version" (122 mins) on disc 2. 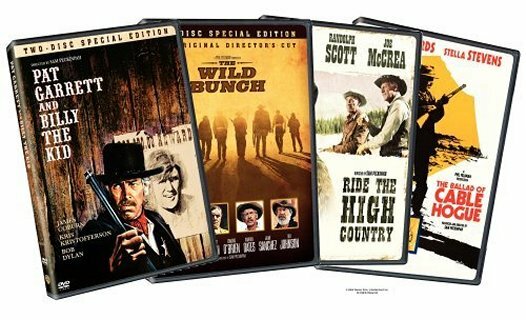 The US artwork restores the picture used for the original 1973 film and the first VHS releases. Thanks to Jack Guerreiro for the rear sleeve and Tim Dunn for the catalogue number. 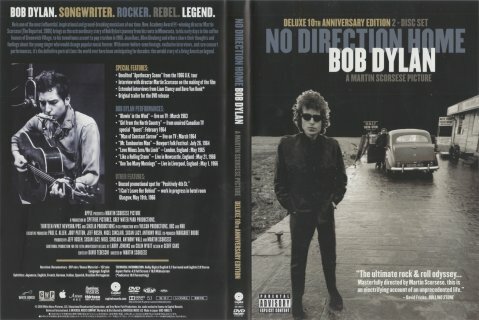 I have used R-0482 for the original music by Bob Dylan on the 1973 film and R-0505 for the original music by Bob Dylan on the 1986 Director's Cut. 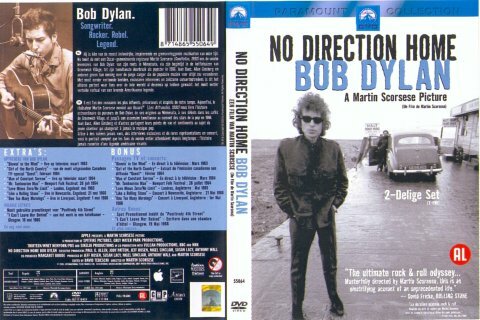 The original 1983 video of the 1973 film (see VHS & DVD 1970s) was withdrawn in 1987 in favour of the "Director's Cut", released to theatres in 1986 (see VHS & DVD 1980s). 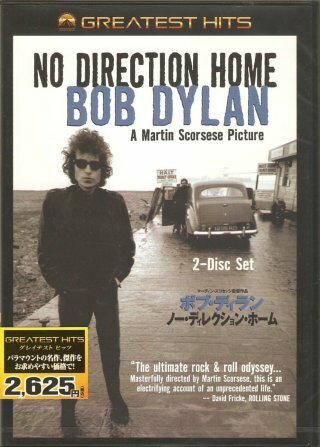 The 1986 Director's Cut used Bob's music very differently from the original theatrical version - for example the vocal version of Knocking On Heaven's Door used in a death scene in the original film was replaced by an instrumental version and was missing from the soundtrack of that release! 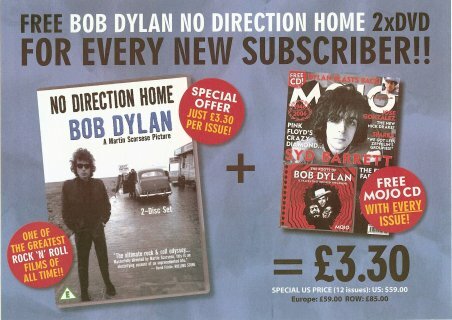 Exactly what Dylan music these two versions contain will be added when information is available. 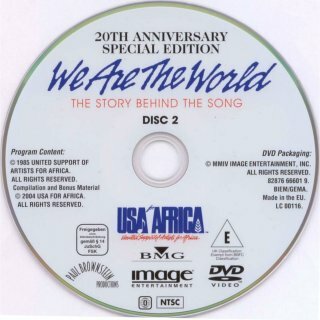 The 2005 Special Edition apparently reinstates this vocal version. 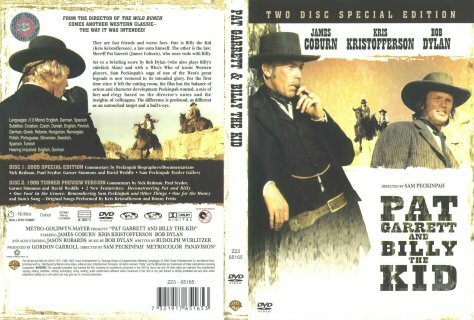 Thanks to Fred Muller and Larry Crum for the information that this 2DVD set is also available in the USA as part of a boxed set - Sam Peckinpah's The Legendary Westerns Collection (Warner Home Video 69388). 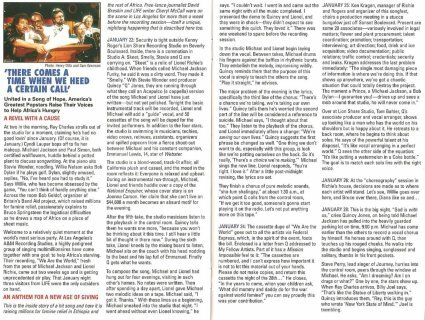 Thanks to Jack Guerreiro for information and scans. 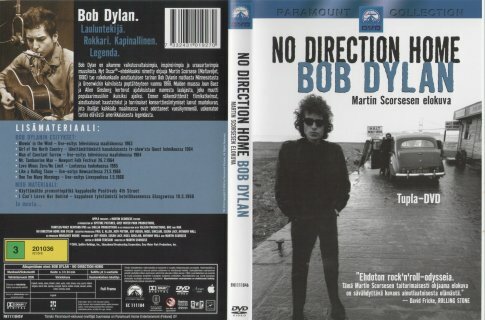 The UK release was scheduled for 20 Feb 2006 and indeed was released then in some countries, as Stanislav Tomik bought a copy with a Czech/Slovak sticker in February in Slovakia, but it was delayed until 30 Jun 2006 in the UK. 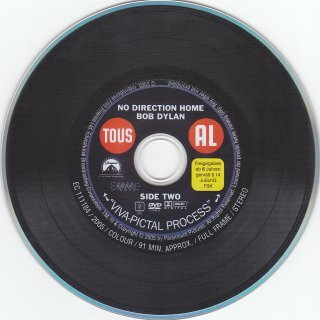 Thanks to Jean-Pol Hiernaux for scans of the French-speaking Belgian release and the French release. The French-speaking Belgian release has all text in French and has an Internet contact address of "warnerbros.be". 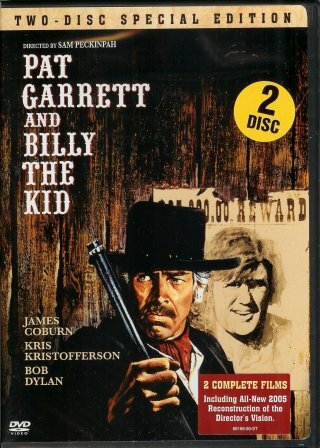 It's amusing to see that the Belgian rendition of the title is "Pat Garrett et Billy le Kid" while the French release (which has a different cover) has "Pat Garrett et Billy The Kid". 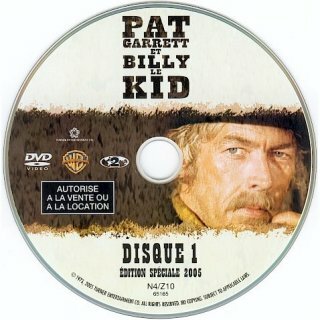 The other Europe and Belgian DVD insert and disc designs are the same apart from the English/French text. 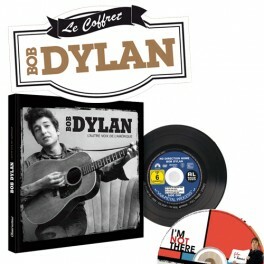 Note the "bad French" of the French release, "Edition Collector" should be "Edition Collecteur". 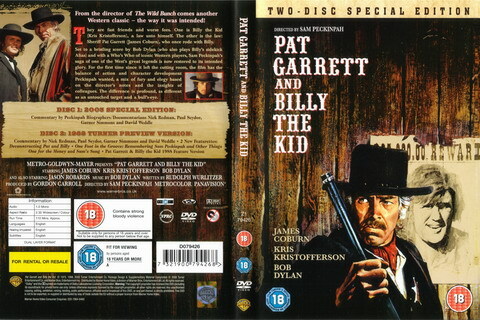 Thanks to Gerd Rundel for scans of the German release, titled "Pat Garrett Jagt Billy The Kid (Pat Garrett Hunts Billy the Kid)". Warner Home Video DL-65165 (Japan) - front with obi, scan by Moise Potié Thanks to Moise Potié for finding the Japanese DVD release on www.amazon.co.jp. Like the European releases, this is also Region 2. 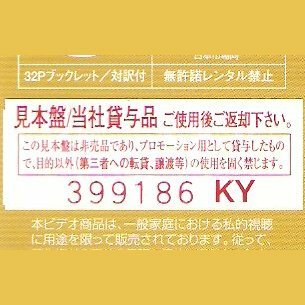 The shaped yellow obi with price ¥1,500 is actually a sticker on the shrink-wrap. 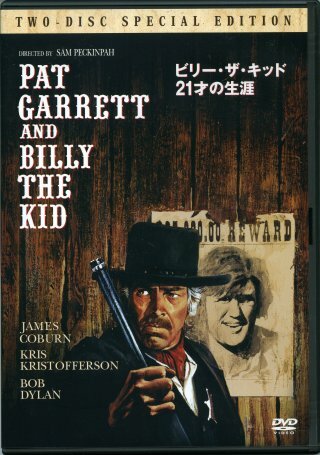 The Japanese title translates to "Billy The Kid's Life Of 21 Years"! 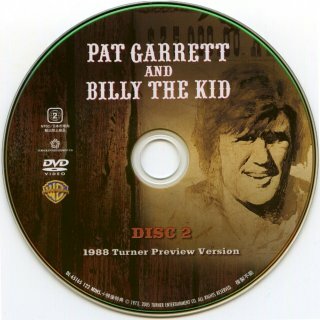 Warner Home Video 65165 (Australia) - front scan by Stuart Moore The Australian 2 Disc DVD of Pat Garrett Special Edition was made in Australia and has Region 4 DVDs. It uses the same artwork as in Germany above. The discs are numbered 65165.1 and 65165.2. 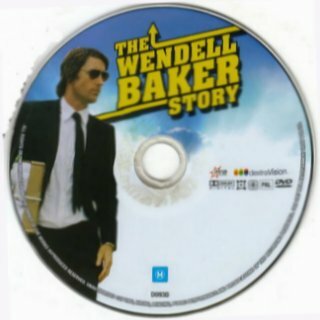 It was distributed by Warner Bros. Entertainment Australia Pty Ltd. 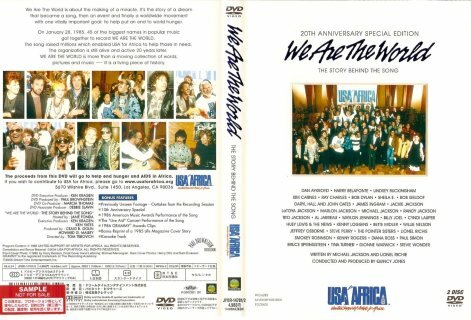 This 82 min DVD features performances from the compilation CD of the same name released in the USA in 2003, plus new material including interviews with the artists and concert footage of Bob in 1980. 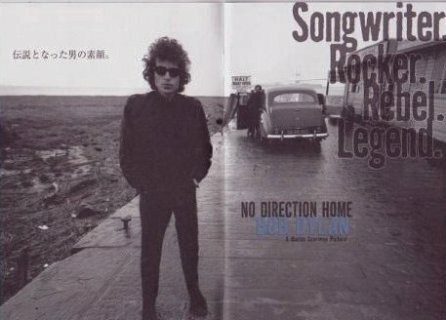 Unfortunately it does not in fact include R-0602, Bob's duet with Mavis Staples on Gonna Change My Way Of Thinking, a new recording of album track from Slow Train Coming. 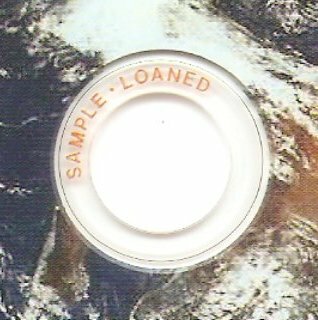 Thanks to Freddy Ordoñez Araque, David Plentus, Peter Gilmer, Jack Guerreiro and Gerd Rundel for information and scans. Thanks to Fred Muller for pointing out that this video omits the interruption by protestor "Soy Bomb" (Michael Portnoy) and is therefore only 4:20, omitting most of Bob's guitar break - the audio version is 5:20. This will be allocated a new R-number. 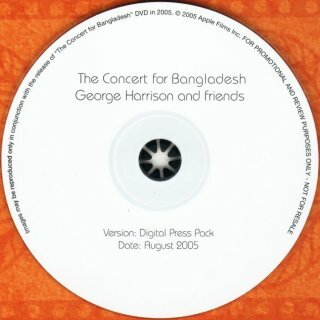 This track was also available in Oct 2004 on the Apple iTunes Online Music Store, see Online Performances (Other). Thanks to Harold Lepidus for pictures of the Limited Edition.